A1 What are molecular interactions? A1. What are molecular interactions? Molecular Interactions are attractive or repulsive forces between molecules and between non-bonded atoms. Molecular interactions are important in diverse fields of protein folding, drug design, material science, sensors, nanotechnology, separations, and origins of life. Molecular interactions are also known as noncovalent interactions or intermolecular interactions. Molecular interactions are not bonds. Bonds hold atoms together within molecules. A molecule a set of atoms that associates tightly enough that it does not dissociate or lose its structure when it interacts with its environment. At room temperature two nitrogen atoms form a bond. Two argon atoms do not. Bonds break and form during chemical reactions. In the chemical reaction called fire, bonds of cellulose break while bonds of carbon dioxide and water form. Bond enthalpies are on the order of 100 kcal/mole (400 kjoule/mole), which is much greater than RT at room temperature; bonds do not break at room temperature. 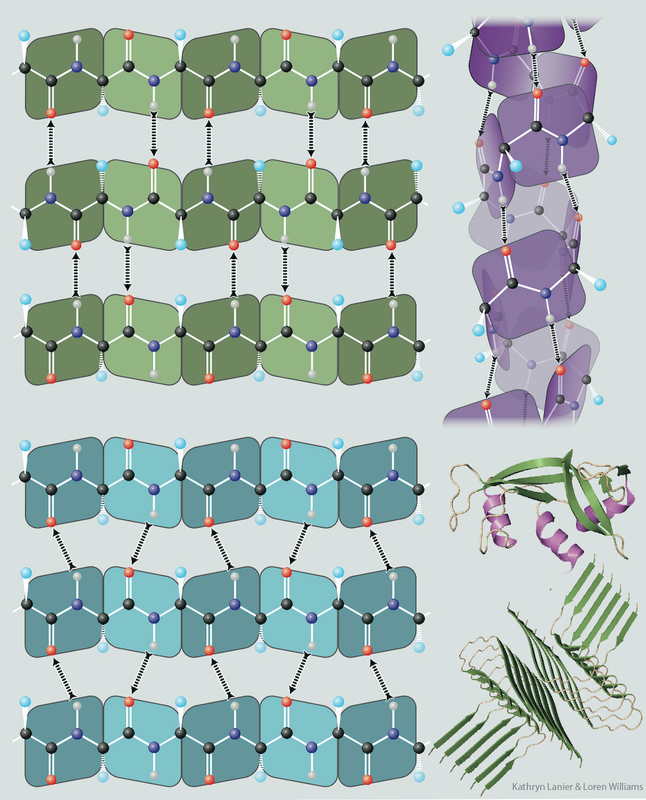 Bonds remain intact when (a) ice melts, (b) water boils, (c) carbon dioxide sublimes, (d) proteins unfold, (e) RNA unfolds, (f) DNA strands separate and (g) membranes disassemble. These processes of melting, boiling, sublimation, unfolding, strand separation and disassembly involve changes in molecular interactions, and are not chemical reactions (no bonds break or form). The enthalpy of a given molecular interaction, between a pair of non-bonded atoms, is 1 - 10 kcal/mole (4 - 42 kjoule/mole), which in the lower limit is on the order of RT and in the upper limit is significantly less than a covalent bond. Even though they are weak individually, cumulatively the energies of molecular interactions are significant. Boiling Points. When a molecule transitions from the liquid to the gas phase (as during boiling), ideally all molecular interactions are disrupted. Differences in boiling temperatures give good qualitative indications of strengths of molecular interactions in the liquid phase. High boiling liquids have strong molecular interactions. The boiling point of H2O is hundreds of degrees greater than the boiling point of N2 because of stronger molecular interactions in H2O(liq) than in N2(liq). The forces between molecules in H2O(liq) are greater than those in N2(liq). A2. Folding and assembly of biological macromolecules. Native states. In biological systems (i) proteins fold into globular structures called native states, (ii) ribosomal and transfer RNAs also fold into native globular structures, (iii) DNA forms double stranded helices, (iv) phospholipids form membranes, and (v) proteins assemble with DNA, RNA, membranes and with other proteins. These native states and assemblies are stabilized by molecular interactions of enormous number and complexity. Figure 1 shows the folding of a protein. 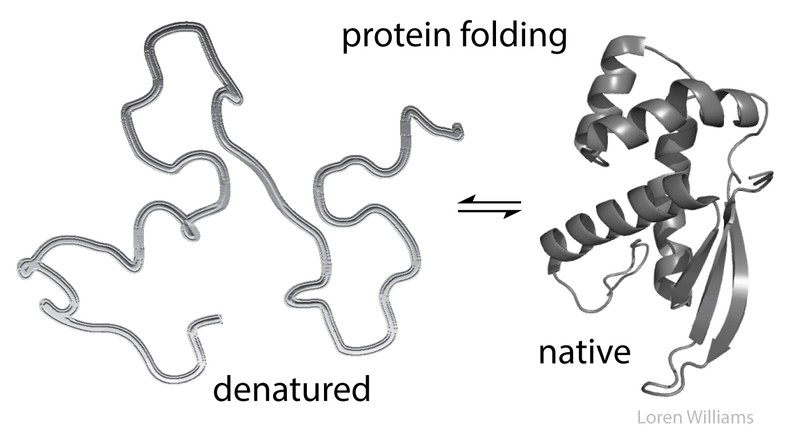 Protein folding is the conversion from a denatured state (a random coil) to a native state. On the right-hand side the arrows are β-strands and the coils are α-helices. Denatured states. When you unfold a protein or an RNA (denature them) or separate two strands of DNA (melt it), or disassemble and melt the ribosome, then interior regions become exposed to the surroundings, which are mostly water plus ions. Molecular interactions within the native state or assembly are replaced by molecular interactions with aqueous surroundings. Near the tipping point. When you think about the stability of a folded state (or an assembled state), always remember that molecular interactions stabilize both the folded state and the random coil (and the disassembled state). Huge numbers of intramolecular interactions within a protein native state are opposed by huge numbers of intermolecular interactions in the denatured state, with surrounding water molecules. On balance, native biological macromolecules and assemblies are marginally stable. Biological systems in general are held near the tipping point, pushed in opposing directions by powerful forces. A small perturbation can tip the balance from folded state to unfolded state. A small change in pH or temperature or a single mutation can unfold a protein. Native states have low conformational entropy. Random coil has high conformational entropy. Have you ever denatured a protein (converted it from the native state to denatured state)? Yes. 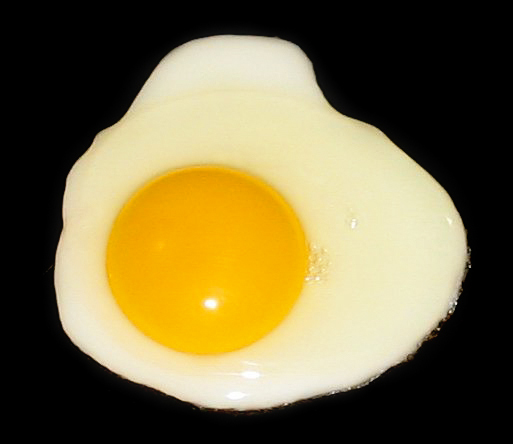 When you heat an egg to around 60° C, the albumin proteins denature and aggregate. You are not breaking bonds when you boil an egg - you are changing and rearranging molecular interactions. The aggregated protein forms large assemblies that scatter light, giving the egg a white appearance. When you add lemon juice to milk, the pH drops and the proteins denature and aggregate. Have you ever melted DNA? Yes, if you have run a PCR reaction. Molecular interactions were discovered by the Dutch scientist Johannes Diderik van der Waals. He noticed that molecules are sticky, like wet jelly beans. The phrase 'van der Waals interaction' has come to mean cohesive (attraction between like), adhesive (attraction between unlike) and/or repulsive forces between molecules. For our purposes, 'van der Waals interaction' is not sufficiently informative or descriptive or specific. The problem is that some people use 'van der Waals interactions' to describe the totality of molecular interactions (as listed in the Table of Contents) but others use it to describe various subsets of molecular interactions. Here we avoid the term "van der Waals interaction" because it is not well-defined and does not decompose the interactions in a physically meaningful way. All molecular interactions are fundamentally electrostatic in nature and can described by some variation of Coulombs Law. However, we reserve the term 'electrostatic interaction' to describe interactions between formally charged species. Interactions between partial charges are given other names. 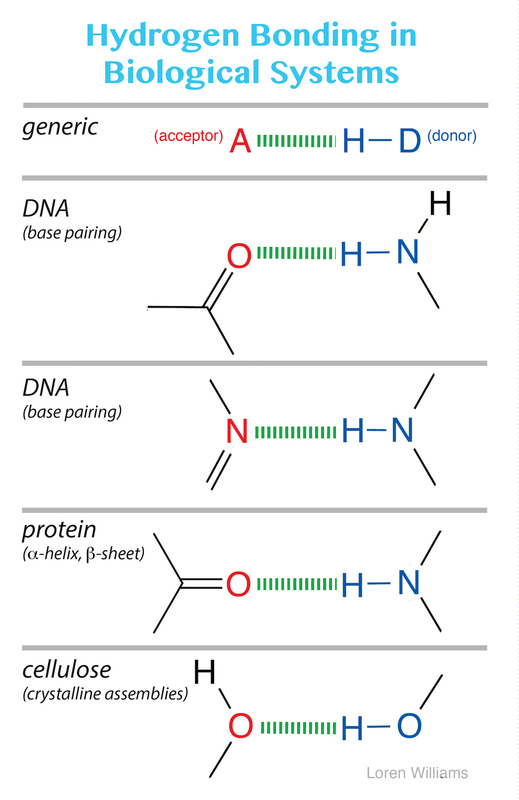 There are many different ways of parsing or classifying molecular interactions. The categories in the Table of Contents are used here because they are the clearest and easiest to understand and are broadly used in the literature. Atoms take space. Force two atoms together and they will push back. When two atoms are close together the occupied orbitals on the atom surfaces overlap, causing electrostatic repulsion between surface electrons. This repulsive force between atoms acts over a very short range, but is very large when distances are short. The repulsive energy goes up as (di / R)12, where R is the distance between the atoms and di is the distance threshold below which the energy becomes repulsive. di depends on the types of atoms. The large exponent means that when R < di then small decreases in R cause large increases in repulsion. Short range repulsion only matters when atoms are in very close proximity (R < di), but at close range it dominates other interactions. Because this repulsion rises so sharply as distance decreases it is often useful to pretend that atoms are hard spheres, like very small pool balls, with hard surfaces (called van der Waals surfaces) and well-defined radii (called van der Waals radii). rS + rC = 1.8 + 1.7 = 3.5 Å. Of course we are assuming here that bonds do not form. When two atoms form a bond, they come very close together and their der Waals radii and surfaces are violated. Figure 2 shows how short range repulsion sets the distance of 3.4 Å between sheets in graphite. If two non-bonded atoms are separated by a distance of less than the sum of their VDW radii, short range repulsion forces them apart. Short range repulsion is important to you. It prevents your hands from passing through each other when you clap, and prevents atoms from collapsing into tightly packed states of enormous density of 1014 g/ml, which is the density of condensed atomic nuclei. Very high gravity, as on neutron stars, overwhelms short range repulsion and causes atoms to collapse. Here in earth, with our modest gravity, the van der Waals radius of carbon (rC) is evident from the spacing between the layers in graphite. The distance between atoms in different layers of graphite is never less than twice the van der Waals radius of carbon (2 x rC = 2 x 1.7 = 3.4 Å). The atoms within a graphite layer are covalently linked (bonded), which causes interpenetration of van der Waals surfaces. Carbon atoms within a layer are separated by 1.42 Å, which is much less than twice the van der Waals radius of carbon. As explained in other sections of this document vdw surfaces are also violated when molecules form hydrogen bonds. The coordinates of graphite are here [coordinates]. How do you sense short range repulsion? Try compressing a liquid. Electrostatic interactions are between and among cations and anions, species with formal charge of ...-2,-1,+1,+2... Electrostatic interactions can be either attractive or repulsive, depending on the signs of the charges. Like charges repel. Unlike charges attract. Favorable electrostatic interactions cause the vapor pressure of sodium chloride and other salts to be very low. If you leave crystals of table salt (NaCl; Na+=cation, Cl-=anion) on a hot pan, how long does it take before they vaporize and sublime away? A very very long time; electrostatic interactions are very very strong. The electrostatic interactions within a sodium chloride crystal are called ionic bonds. But when a single cation and a single anion are close together, within a protein, or within a folded RNA, those interactions are considered to be non-covalent electrostatic interactions. Non-covalent electrostatic interactions can be strong, and act at long range. Electrostatic forces fall off gradually with distance (1/r2, where r is the distance between the ions). Figure 3 shows electrostatic interactions in a cross section of a NaCl crystal. Each sodium cation experiences strong electrostatic interactions with adjacent chloride anions. In reality the ionic radius of a sodium cation is less than that of a chloride anion. The coordinates of sodium chloride are here [coordinates]. Electrostatic interactions are the primary stabilizing interaction between phosphate oxygens of RNA (charge = -1) and magnesium ions (charge = +2), as shown in the figure below. There are many magnesium ions associated with RNA and DNA in vivo. As explained later in this document, electrostatic interactions are highly attenuated (dampened) by water. In protein folding, RNA folding and DNA annealing, electrostatic interactions are dependent on salt concentration and pH. Figure 4 shows electrostatic interactions. In RNA (for example in the ribosome), anionic phosphate oxygens (formal charge = -1) engage in attractive electrostatic interactions with cationic magnesium ions (formal charge = +2). 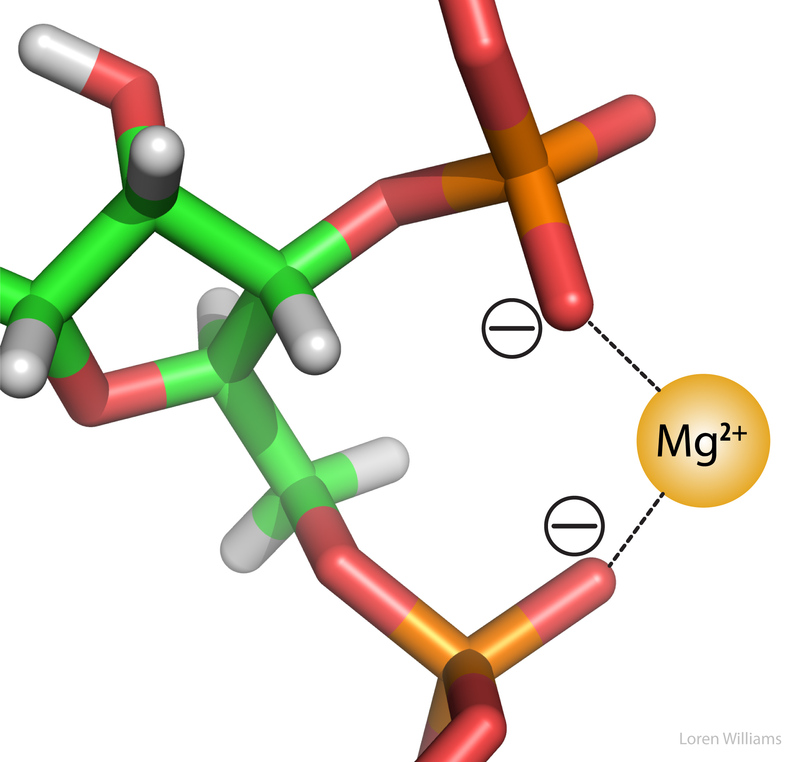 Two phosphate groups can 'clamp' onto the Mg2+ ion. The O to Mg2+ distance is 2.1 Å. The dashed lines represent favorable electrostatic interactions. C1. Ion pairs in proteins. Favorable electrostatic interactions between paired anionic and cationic amino acid sidechains are reasonably frequent in proteins. Ion Pairs, sometimes called Salt Bridges, are formed when the charged group of a cationic amino acid (like lysine or arginine) is around 3.0 to 5.0 Å from the charged group of an anionic amino acid (like aspartate or glutamate). The charged groups in an ion pair are generally linked by hydrogen bonds, in addition to electrostatic interactions. Figure 5 shows an ion pair within a folded protein. 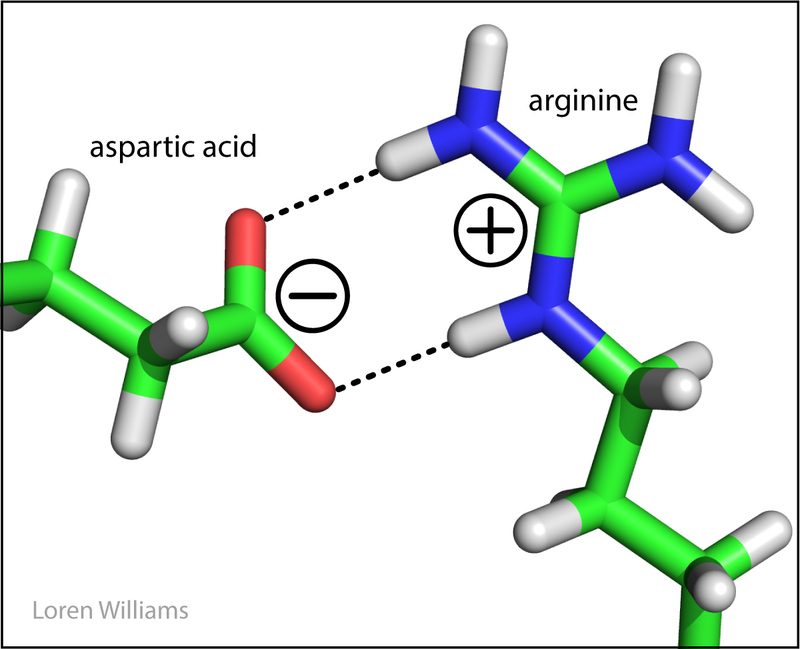 An anionic aspartic acid (charge = -1) engages in attractive electrostatic interactions with cationic arginine (charge = +1). The dashed lines represent hydrogen bonds. q = -1.6 x 10-19 coulombs for an electron. ε = the dielectric constant of the medium (unitless). ε is the dielectric constant. It reflects the tendency of the medium to shield charged species from each other. ε is 1 in a vacuum, around 4 in the interior of a protein and 80 in water. Water is very efficient at shielding charges, reducing electrostatic forces between ions. The problem of calculating electrostatic effects in biological systems is complex in part because of non-uniformity of the dielectric environment. The dielectric micro-environments are complex and variable, with less shielding of charges in regions of hydrocarbon sidechains and greater shielding in regions of polar sidechains. where a = Avogadro's number. This rough approximation is around 10-fold greater than the values determined experimentally. An ion pair contributes favorable ΔG of 1 to 4 kcal/mole (4.1 to 16.4 kjoule/mole) to the stability of a native protein. A note on nomenclature. 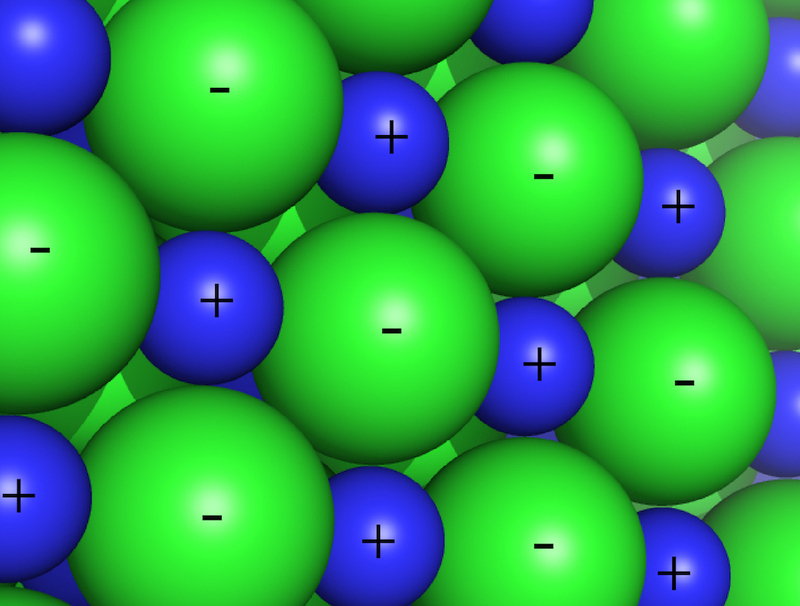 The attractive forces between a Mg2+ ion and phosphate groups (above) are called electrostatic interactions. This label is unfortunate because ALL molecular interactions are inherently electrostatic in nature. It might have been better to have called these charge-charge interactions. However, by convention we use the term electrostatic to describe interactions between formally charged species. We use other terms (dipole-dipole, dispersion...) to describe (electrostatic) interactions between partial charges. D1. Electronegativity and molecular dipoles. Electronegativities. Before you can understand dipolar interactions, you have to know about electronegativity. Electrons are not shared equally in a molecule with unlike atoms. The tendency of any atom to pull electrons towards itself, and away from other atoms, is characterized by a quantity called electronegativity. Fluorine is the most electronegative atom (4.0) and cesium is the least electronegative (0.7). In general, electronegativity increases with nuclear charge while holding number of core electrons constant (i.e. from left to right in a row of the periodic table). Electronegativity increases as nuclear shielding decreases (from bottom to top in a column of the periodic table). Partial Charges. In a molecule composed of atoms of various electronegativities, the atoms with lowest (smallest) electronegativities hold partial positive charges (δ+) and the atoms with the greatest electronegativities hold partial negative charges (δ-). A greater difference in the electronegativities of two bonded atoms causes the bond between them to be more polar, and the partial charges on the atoms to be larger in magnitude. In biological systems, oxygen is generally the most electronegative atom, carrying the largest partial negative charge. Figure 6 shows the partial charges and dipole moment of a water molecule. The electronegative oxygen atom pulls electron density away from the hydrogen atoms. The oxygen carries a partial negative charge and the hydrogen atoms carry partial positive charges. Bond dipoles (center) and molecular dipoles (right) can be represented as vectors. The arrows point from positive charge to negative charge. In methanol (CH3OH), the electronegative oxygen atom pulls electron density away from the carbon and hydrogen atoms. In water (H2O), the electronegative oxygen atom pulls electron density away from both hydrogen atoms. The oxygen atom of water carries a partial negative charge. The hydrogen atoms carry partial positive charges. This phenomena of charge separation is called polarity. Methanol and water are polar molecules. N2 is a non-polar molecule because the two nitrogen atoms have equal electronegativities and so they share electrons equally. Hydrocarbon (CH3CH2...CH2CH3) is non-polar because the electronegativies of carbon and hydrogen are similar. Figure 7 shows the partial charges within a polypeptide. The symbol size (δ) is scaled to the magnitude of the partial charge. Oxygen atoms are the most electronegative and have the greatest negative partial charge. The dipole moment of water is 1.85 Debye (HCl = 1.1 D; CH3Cl = 1.9 D; HCN = 2.9 D; NH3 = 1.47). The orientation of the dipole moment of a peptide is approximately parallel to the N-H bond and is around 3.7 Debye in magnitude. Figure 8 shows the orientation of the dipole moment of a peptide. The large dipole moment of a peptide bond should lead one to expect that dipolar interactions are important in protein conformation and interactions. They are. A dipole is surrounded by an electric field, which causes force-at-a-distance on nearby charged and partially charged species. Interactions between dipoles and ions are are called Charge-Dipole Interactions (or Ion-Dipole Interactions). Dipoles also interact with other dipoles (Dipole-Dipole Interactions), and induce charge redistribution (polarization) in surrounding molecules (Dipole-Induced Dipole Interactions). We will discuss each of these interactions separately in the sections below. D2. Dipole-dipole interactions (Keesom interactions). Two dipoles feel each other at a distance. The positive end of the first dipole is attracted to the negative end of the second dipole and is repelled by positive end. The strength of a dipole-dipole interaction depends on the size of both dipoles and on their proximity and orientations. The net interaction energy between two dipoles can be either positive or negative. Parallel end to end dipoles attract while antiparallel end to end dipoles repel. Listed below are the energies of interaction for various orientations of two dipoles with moments of 1 Debye at a distance of 5 Å in a medium of ε = 4. Figure 9 shows how dipole-dipole interactions depend on the orientations of the dipoles. Dipole-dipole interactions can be attractive or repulsive. In liquids the orientations of molecular dipoles change rapidly as molecules tumble about. However, dipole moments tend to orient favorably. Therefore, in liquid acetone for example, favorable dipole-dipole interactions outweigh unfavorable dipole-dipole interactions. Dipole-dipole interactions fall off with 1/r3. D3. Dipole-induced dipole interactions (Debye interactions). 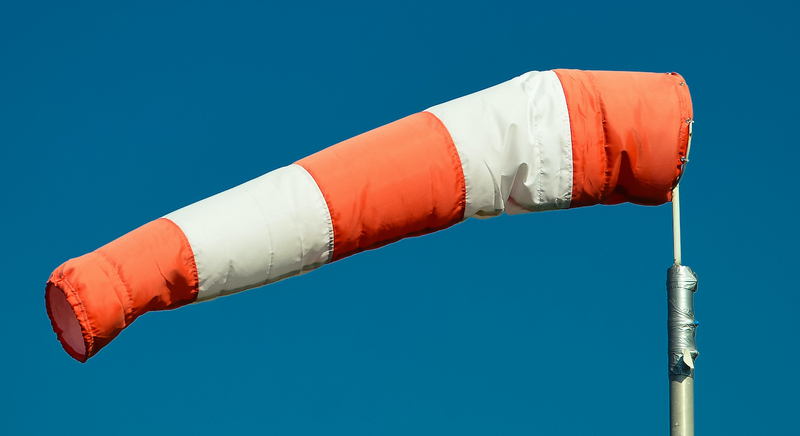 A polarizable molecule tumbling in a solution of polar molecules is like a wind sock buffeted by shifting winds. The electron density of a polarizable molecule is shifted and deformed by the electric fields of the surrounding polar molecules. Any molecule with a dipole moment (or any ion) is surrounded by an electrostatic field. This electrostatic field shifts the electron density (alters the dipole moments) nearby molecules. A change in the dipole moment of one molecule by another (or by any external electric field) is called polarization. The ease with which electron density is shifted by an electronic field is called polarizability. Large atoms like xenon are more polarizable than small atoms like helium. Amino acid sidechains with π electrons, such as phenylalanine and tryptophan, are more polarizable than sidechains such as isoleucine, which lack π electrons. Figure 10 shows how a static dipole can induce a dipole in an adjacent molecule. When two isolated molecules (left) come together in a liquid or solid (right), the static dipole 'polarizes' the adjacent molecule. π Electrons are more polarizable (more easily perturbed by an adjacent dipole) than σ electrons. The strength of a dipole-induced dipole interaction depends on the size of the dipole moment of the first molecule and on the polarizability of the second molecule. Figure 11 shows how water molecules polarize each other. Each water molecule polarizes neighboring water molecules and increases neighboring dipole moments. 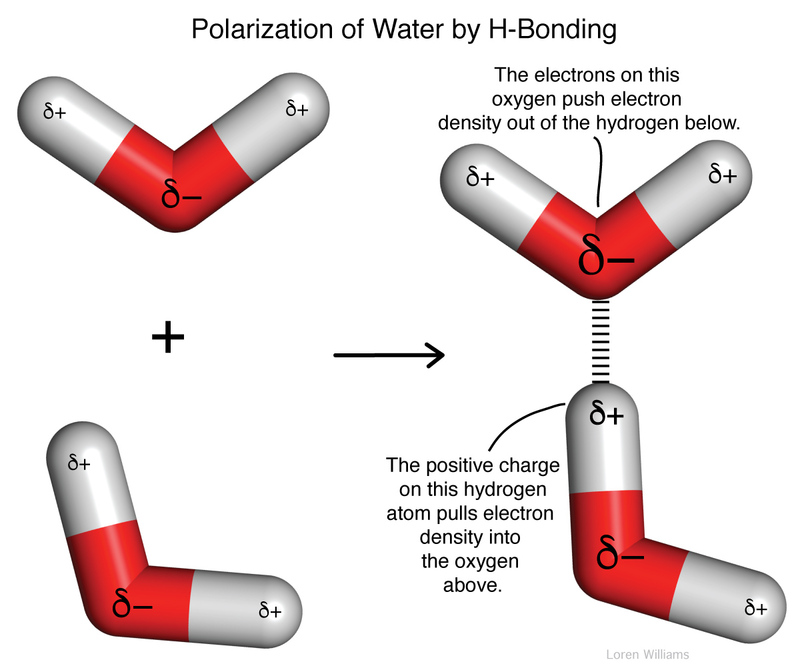 When the two water molecules approach each other and form a hydrogen bond as shown here, the partial negative charge on the oxygen of the top water molecule is increased in magnitude, and the partial positive charge on the proton of the bottom water molecule is also increased. Here the symbol size is scaled to the magnitude of the partial charge. Dipole-induced dipole interactions are important even between molecules with permanent dipoles. A permanent dipole is perturbed by an adjacent dipole. For example, in liquid water (where molecules are close together), all water molecules are polarized. The permanent dipole of each water molecule polarizes all adjacent water molecules. The dipole of a water molecule induces change in the dipoles of all nearby water molecule. Dipole-induced dipole interactions are always attractive and can contribute as much as 0.5 kcal/mole (2.1 kjoule/mole) to stabilization of molecular associations. Dipole-induced dipole interactions fall off with 1/r4. Formally charged species (Na+, Mg2+, -COO-, etc.) also polarize nearby molecules and induce favorable dipoles. The resulting interactions, called charge-induced dipole interactions (or ion-induced dipole interactions). These interactions are important, for example in protein structure, but are not broken out into a separate section in this document. A molecule with a permanent dipole can interact favorably with cations and anions. This type of interaction is called a charge-dipole or ion-dipole interaction. Charge-dipole interactions are why sodium chloride, composed cationic sodium ions and anionic chloride ions, and other salts tend to interact well with water, and are very soluble in water, which has a strong dipole. Figure 12 shows charge-dipole Interactions. Four water molecules are shown interacting favorably with a magnesium dication. The negative ends of the water dipoles are directed toward the positively charged magnesium ion. Six water molecules coordinate magnesium in solution. Two are omitted for clarity. For an anion like chloride, the water molecules switch direction and direct the positive ends of their dipoles toward the anion. Here the dashed lines do not represent hydrogen bonds. There are no hydrogen atoms between the Mg2+ cation and the water oxygen atoms. E. Fluctuating dipolar interactions (Dispersive interactions, London Forces). We can see resonance all around us. A child on a swing, the tides in the Bay of Fundy and the strings on a violin all illustrate the natural resonant frequencies of physical systems. The Tacoma Narrows Bridge is one of the most famous examples of resonance. Molecules resonate too. Electrons, even in a spherical atom like Helium or Xenon, fluctuate over time according to the natural resonant frequency of that atom. Even though chemists describe atoms like Helium and Xenon as spherical, if you could take a truly instantaneous snapshot of a spherical atom, you would always catch it in a transient non-spherical state. Xenon is spherical on average, but not at any instantaneous timepoint. As electron density fluctuates, dipole moments also fluctuate. Therefore, all molecules and atoms contain oscillating dipoles. In all molecules that are close together (in any liquid or a solid, but not in a perfect gas) the oscillating dipoles sense each other and couple. They oscillate in synchrony, like the strings of a violin. The movements of electrons in adjacent molecules are correlated. Electrons in one molecule tend to flee those in the next, because of electrostatic repulsion. Coupled fluctuating dipoles experience favorable electrostatic interaction known as dispersive interactions. 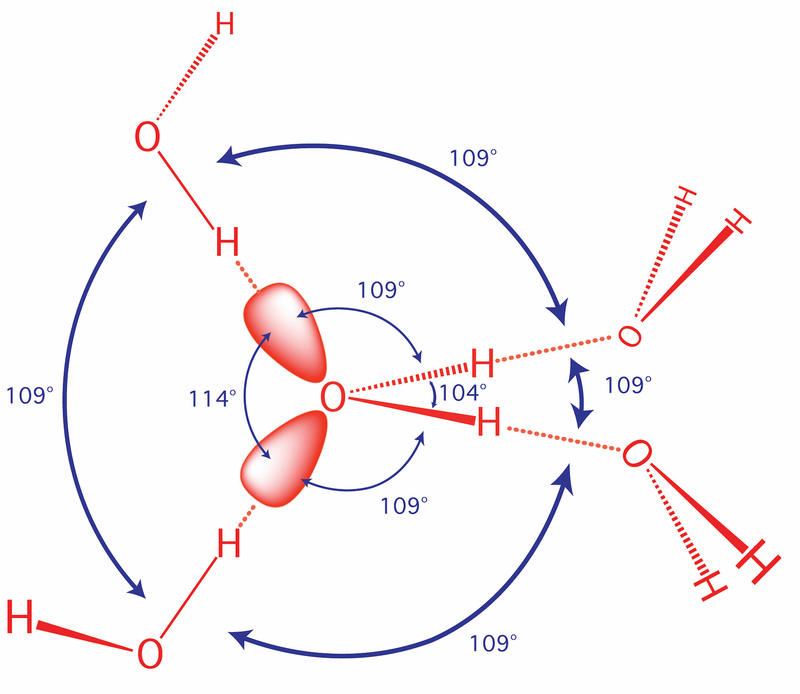 Figure 13 shows how dispersive interactions in liquid Xenon (or Helium or Neon, etc) are caused by attractive interactions between coupled fluctuations of dipoles. Darker blue indicates higher electron density. The fluctuations are correlated and are very fast, on the femtosecond (10-15 second) timescale. Adjacent Xenon atoms experience electrostatic attraction from the transient dipoles. Two different representations of fluctuating dipoles are shown. Dispersive interactions are always attractive and occur between any pair of molecules, polar or non-polar, that are nearby to each other. Dispersive interactions are the only attractive forces between atoms in liquid He (bp 4.5 K), Ne (27K), Ar (87K) and between molecules of N2 (77K). Without dispersive interactions there would be no liquid state for the Nobles. The total number of pairwise atom-atom dispersive interactions within a folded protein is enormous, so that dispersive interactions can make large contributions to stability. The strength of this interaction is related to polarizability. Tryptophan, tyrosine, phenylalanine and histidine are the most polarizable amino acid sidechains, and form the strongest dipsersive interactions in proteins. What about water? Even molecules with permanant dipoles, like water, experience dispersive interactions. About a 25% of the attractive forces between water molecules in the liquid are dispersive in nature. Dispersive interactions fall off with 1/r6. A Π-system, such as that of benzene, tryptophan, phenylalanine or tyrosine, focuses partial negative charge above and below the plane of the ring. A cation can interact favorably with this partial negative charge when the cation is near the face of the Π-system. In the most stable arrangment, the cation is centered directly over the Π-system and is in direct van der Waals contact with it. The table on the left shows gas phase interaction enthalpies, which are on the same order as the hydration enthalpies for these cations. Therefore, cation-Π interactions are roughly similar in strength to cation-dipole interactions formed between water and cations. Small ions with high charge density form stonger cation-Π complexes than larger ions. Electron withdrawing groups on the ring system weaken cation interactions while electron donating groups strengthen them. Cation-Π interactions are important in protein structure. The guanidinium group of arginine and the ε-NH3+ of lysine engage in cation-Π interactions with aromatic protein sidechains. A favorable cation-Π pair contributes as much to protein stability as a good hydrogen bond or an electrostatic (charge-charge) interaction. Tryptophan is the most frequent π system in protein cation-Π pairs while arginine is the most frequent cation. Tryptophan and arginine can form extended coplaner assemblies. Figure 14 (Left) shows the optimal geometry for a cation-Π interaction between a Na+ cation and benzene. The distance from the Na+ to the center of the ring is 2.4 Å (ionic radius of Na+ = 0.9 Å, vdw radius of C (rC) = 1.7 Å). (Right) The ε-NH3+ of a lysine engages in cation-Π interactions with two tryptophan sidechains and two tyrosine sidechains in a protein (glucoamylase, PDB ID 1GAI). G1. Anatomy of a hydrogen bond. 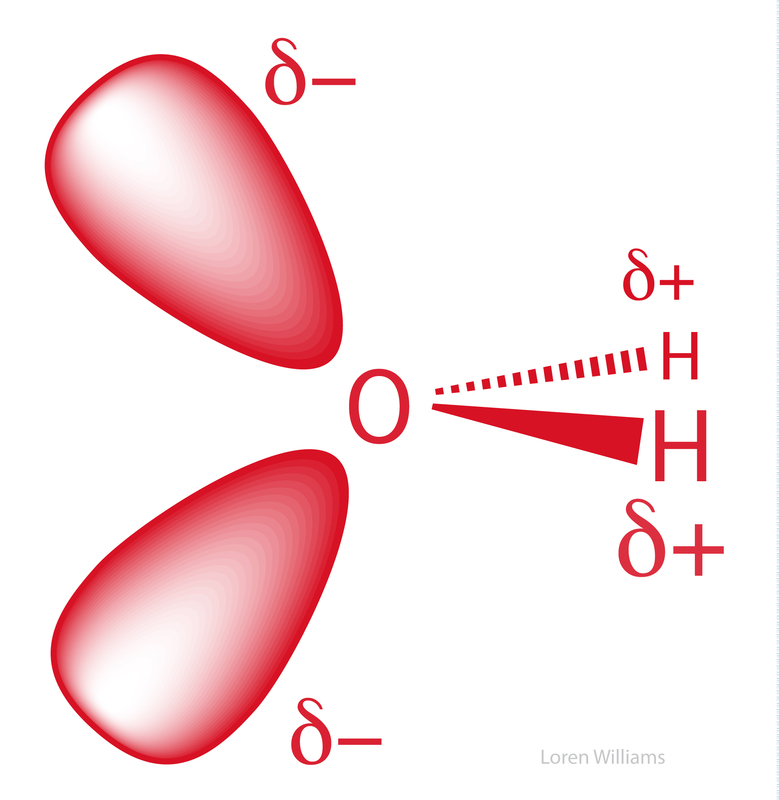 The idea that a single hydrogen atom could interact simultaneously with two other atoms was proposed in 1920 by Latimer and Rodebush and their advisor, G. N. Lewis. Maurice Huggins, who was also a student in Lewis' lab, describes the hydrogen bond in his 1919 dissertation. 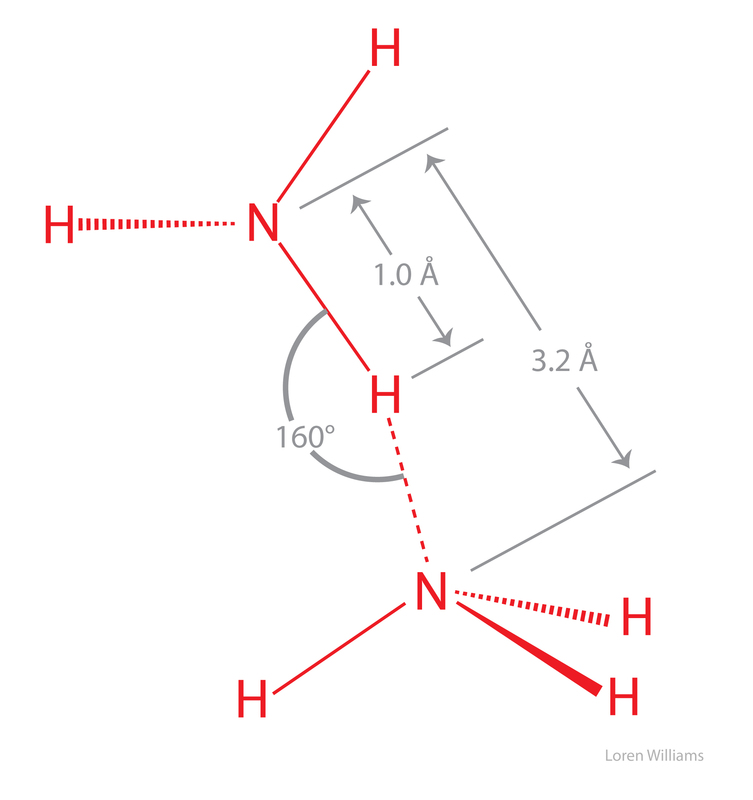 A hydrogen bond is a favorable interaction between an atom with a basic lone pair of electrons (a Lewis Base) and a hydrogen atom that has been partially stripped of its electrons because it is covalently bound to an electronegative atom (N, O, or S). In a hydrogen bond, the Lewis Base is the hydrogen bond acceptor (A) and the partially exposed proton is bound to the hydrogen bond donor (H-D). Why hydrogen? Hydrogen is special because it is the only atom that (i) forms covalent sigma bonds with electronegative atoms like N, O and S, and (ii) uses the inner shell (1S) electron(s) in that covalent bond. When its electronegative bonding partner pulls the bonding electrons away from hydrogen, the hydrogen nucleus (a proton) is exposed on the back side (distal from the bonding partner). The unshielded face of the proton is exposed, attracting the partial negative charge of an electron lone pair. Hydrogen is the only atom that exposes its nucleus this way. Other atoms have inner shell non-bonding electrons that shield the nucleus. Figure 15 illustrates the elements of a hydrogen bond, including the HB acceptor and HB donor, the lone pair and the exposed proton. N, O, S are the predominant hydrogen bonding atoms (A & D) in biological systems. 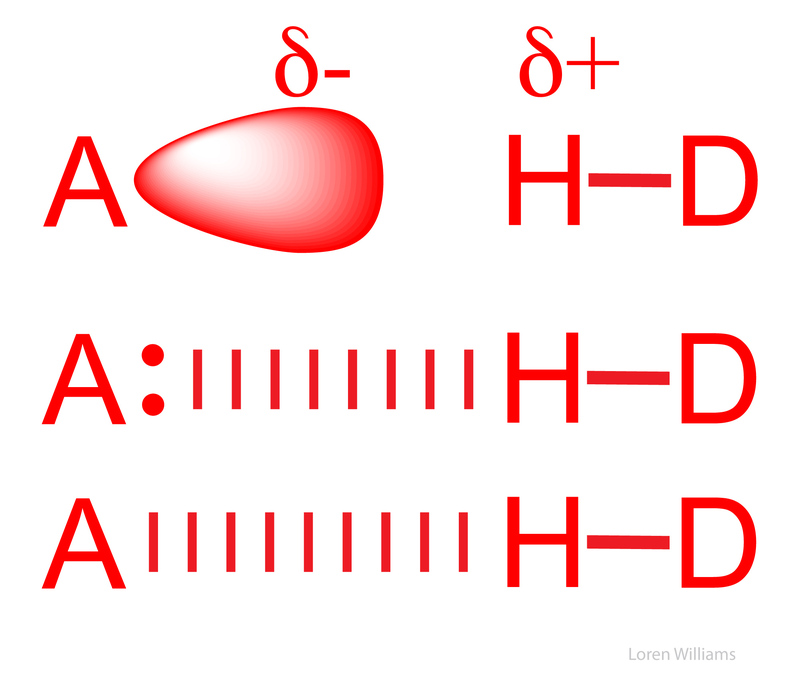 A hydrogen bond is not an acid-base reaction, where the proton (H+) is fully transferred from H-D to A to form D- and HA+. However, the strength of a hydrogen bond correlates well with the acidity of donor H-D and the basicity of acceptor A. In a hydrogen bond, the H+ is partially transfered from H-D to A, but H+ remains covalently attached to D. The H-D bond remains intact. Figure 16 illustrates three different styles for representing a hydrogen bond. Atom A is the Lewis base (for example the N in NH3 or the O in H2O) and the atom D is electronegative (for example O, N or S). The conventional nomenclature is confusing: a hydrogen bond is not a covalent bond. Figure 17 shows the most common hydrogen bond acceptors and donors in biological macromolecules. The most common hydrogen bonds in biological systems involve oxygen and nitrogen atoms as A and D. Keto groups (=O), amines (R3N), imines (R=N-R) and hydroxyl groups (-OH) are the most common hydrogen bond acceptors in DNA, RNA, proteins and complex carbohydrates. Hydroxyl groups and amines/imines are the most common hydrogen bond donors. Hydroxyls and amines/imines can both donate and accept hydrogen bonds. In traversing the Period Table, increasing the electronegativity of atom D strips electron density from the proton (in H-D), increasing its partial positive charge, and increasing the strength of any hydrogen bond. Thiols (-SH) can can both donate and accept hydrogen bonds but these are generally weak, because sulfur is not sufficiently electronegative. 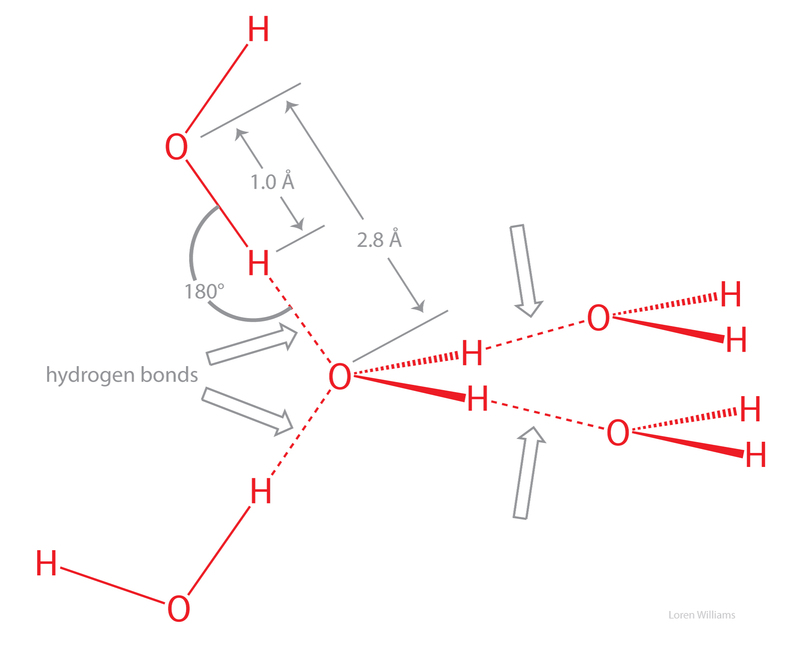 Hydrogen bonds involving carbon, where H-D equals H-C, are observed, although these are weak and infrequent. C is insufficiently electronegative to form good hydrogen bonds. Hydrogen bonds are essentially electrostatic in nature, although the energy can be decomposed into additional contributions from polarization, exchange repulsion, charge transfer, and mixing. Hydrogen bond strengths form a continuum. Strong hydrogen bonds of 20-40 kcal/mole (82 to 164 kjoule/mole), generally formed between charged donors and acceptors, are nearly as strong as covalent bonds, Weak hydrogen bonds of 1-5 kcal/mole (4 - 21 kjoule/mole), sometimes formed with carbon as the proton donor, are no stronger than conventional dipole-dipole interactions. Moderate hydrogen bonds, which are the most common, are formed between neutral donors and acceptors are from 3 - 12 kcal/mole (12 - 50 kjoule/mole)). G2. Geometry of hydrogen bonds. The geometry of a hydrogen bond can be described by three quantities, the D to H distance, the H to A distance, and the D to H to A angle. The distances depend on the atom types of A and D. If both A and D are oxygen atoms, then optimally, H to A = 1.8 Å and D to H = 1.0 Å. 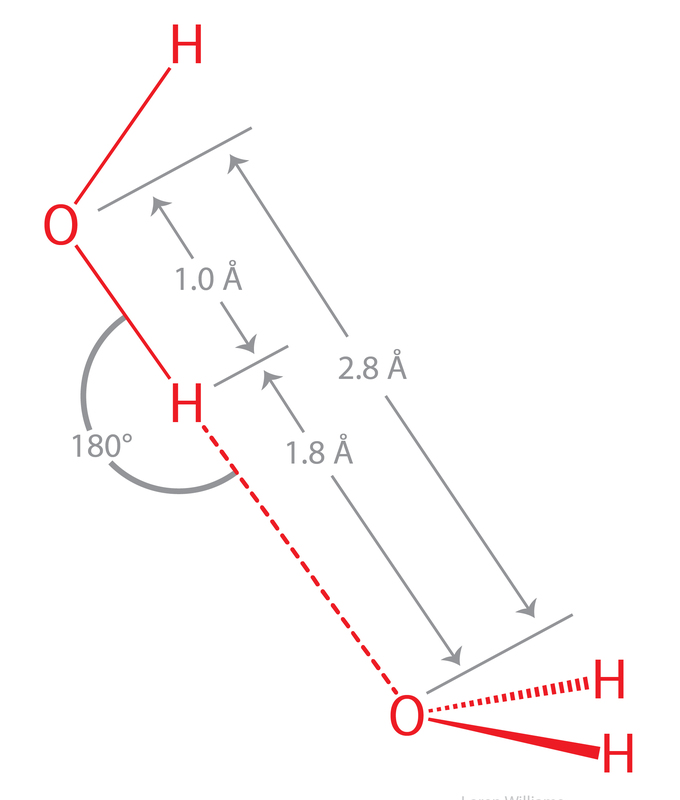 The most stable hydrogen bonds are close to linear (D to H to A angle of 180°). 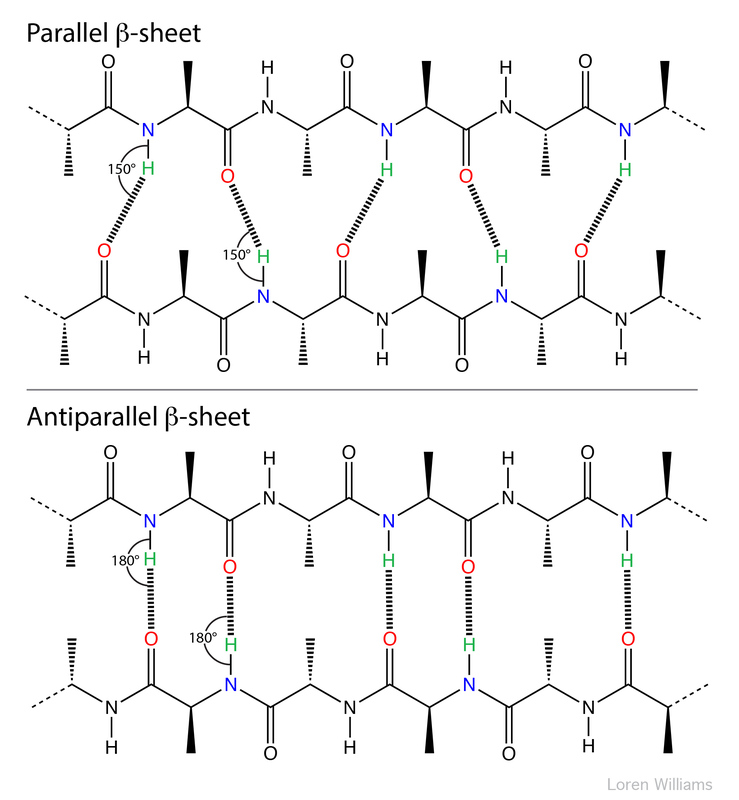 The hydrogen bonds in antiparallel β-sheets are linear, while the hydrogen bonds in parallel β-sheets are non-linear. Figure 18 illustrates the non-linearity of parallel β-sheet hydrogen bonds and the linearity of antiparallel β-sheet hydrogen bonds. Hydrogen bonds can be two-center (as in a β-sheets and ideal ice), three-center, or four-center. Two-center hydrogen bonds are generally shorter, more linear, and stronger than three- or four-center hydrogen bonds. Three-center bonds are sometimes called bifurcated while four centered hydrogen bonds are sometimes called trifurcated. Figure 19 illustrates two-, three- and four-center hydrogen bonds. The two-center hydrogen bond is closest to an 'ideal' hydrogen bond, and is stronger than the other types. The four-center hydrogen bonding scheme on the right is observed in crystalline ammonium, where one acceptor lone pair has to accomodate three donors (see section on ammonia, below. Hydrogen atoms are not observable by x-ray crystallography as applied to proteins and nucleic acids. So a geometric description of hydrogen bonding that is dependent on the hydrogen position is not always practical. In these cases one is usually limited to analysis of the D to A distance. It is common to ascribe a hydrogen bond if a distance between A and D is less than the sum of their van der Waal radii. However this limit is probably too conservative. The best criteria for an H-bond is a distance of less than 3.4 Å between D and A.
G3. Cooperativity of hydrogen bonds. In biological systems, hydrogen bonds are frequently cooperative and are stabilized by resonance involving multiple hydrogen bonds. In systems with multiple hydrogen bonds, the strength of one hydrogen bond is increased by a adjacent hydrogen bond. For example in the hydrogen-bonded systems below (the acetic acid dimer), the top hydrogen bond increases both the acidity of the hydrogen, and the basicity of the oxygen in the bottom hydrogen bond. Each hydrogen bond makes the other stronger than it would be in isolation. Cooperativity of hydrogen bonding is observed in base pairing and in folded proteins. 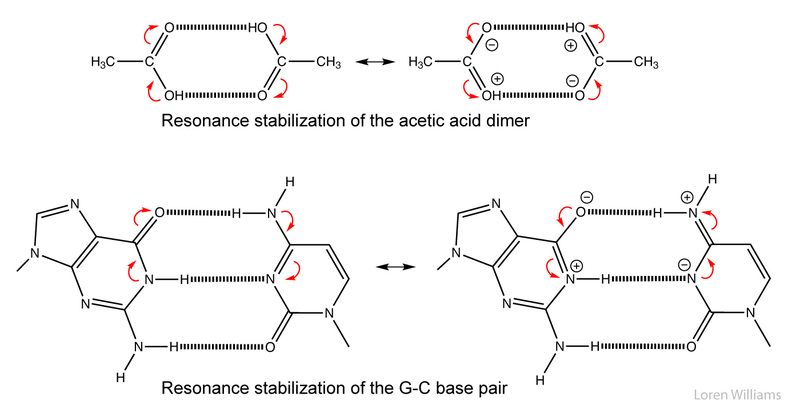 Figure 20 shows cooperativity of the hydrogen bonds of an acetic acid dimer (top) and of a G-C base pair (bottom). One hydrogen bond increases the stability of the adjacent hydrogen bond (and vice versa). 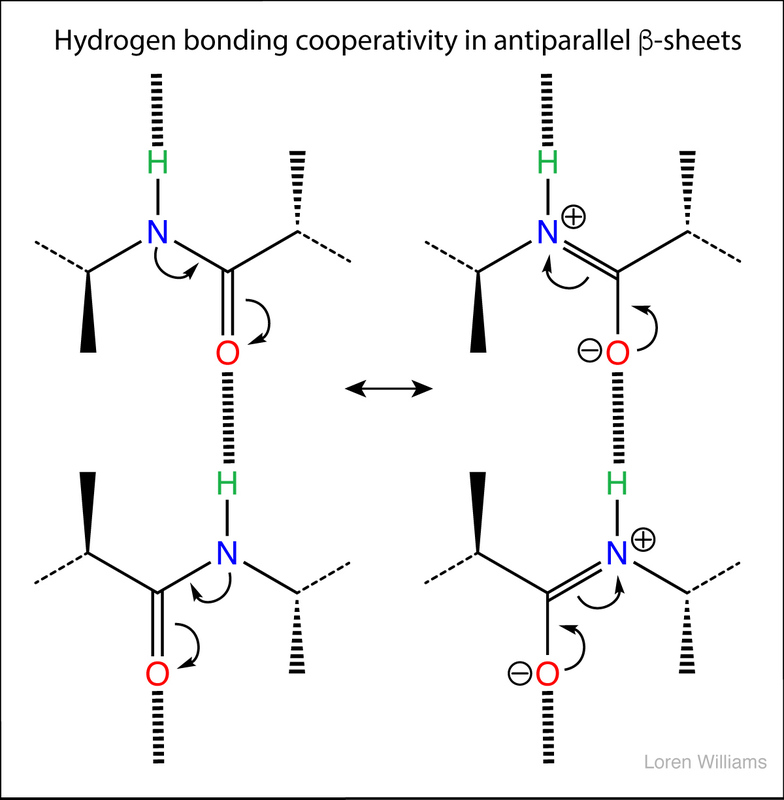 Figure 21 shows cooperativity via resonance of the hydrogen bonds of an anti-parallel β-sheet. H. Water - the liquid of life. Life as we know it on earth is fully dependent on and intertwined with water. Living organisms by weight are around 80% water, which is used as a transport medium, a determinant of molecular interactions and a chemical reagent in some of the most fundamental reactions of biology. H1. Intrinsic self-complementarity of water. Water is self-complementary. In liquid or solid water, every atom of every water molecule engages in nearly ideal hydrogen bonding interactions with surrounding water molecules. The donors and acceptors of any water molecule geometrically match the donors and acceptors of surrounding water molecules. In condensed phases (liquid or solid) of water, the molecular interactions of a water molecule are complementary to the watery surroundings. Figure 21a illustrates the complementarity of a water molecule (green) with the surroundings (red) in a condensed phase. The inner ring of angles (blue) is within a water molecule. The outer ring of angles (also blue) is between surrounding water molecules. Water has a balanced number of hydrogen bond donors and acceptors (two of each). In condensed phases, every water molecule acts as a donor in two hydrogen bonds and an acceptor in two hydrogen bonds. The self-complementarity of water is emergent on the condensed phase. Isolated or small clusters of water molecules do not display self-complementarity. Strong self-complementary forces between water molecules cause very high melting temperature, boiling temperature, heat of vaporization, heat of fusion and surface tension. Water puffs up (increases volume) when it freezes; Ice floats. The heat of vaporization of water (540 cal/g) is over twice that of methanol (263 cal/g) and nearly ten times that of chloroform (59 cal/g). Water is a powerful solvent for ions and polar substances and is a poor solvent for non-polar substances. Water causes certain amphipathic molecules (with both polar and non-polar functionalities) to spontaneously form compartments. In water, membranes assemble and proteins fold. Water has a unique ability to shield charged species from each other. Electrostatic interactions between ions are highly attenuated in water. The electrostatic force between two ions in solution is inversely proportional to the dielectric constant of the solvent. The dielectric constant of water (80.0) is huge. It is over twice that of methanol (33.1) and over five times that of ammonia (15.5). Water is a good solvent for salts because the attractive forces between cations and anions are minimized by water. H2. Hydrogen bonding in water. A water molecule (H2O) can form strong hydrogen bonds, with either hydrogen bond donors or acceptors. 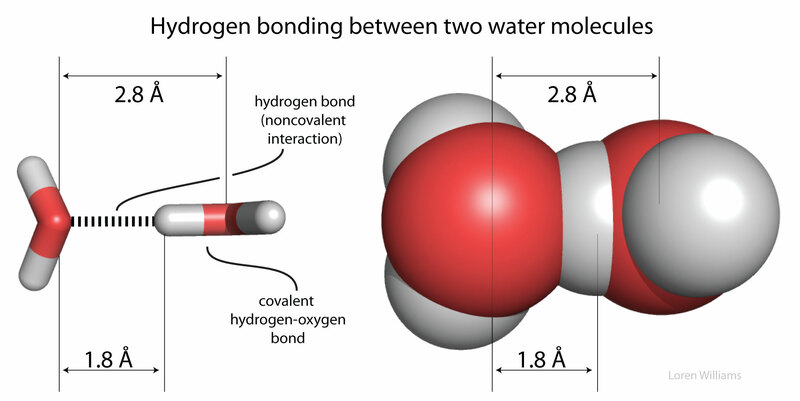 Figure 22 illustrates hydrogen bonding between two water molecules. The hydrogen bonds are short, linear and strong. These are two-center hydrogen bonds. Although each water molecule in liquid water and in ice forms four hydrogen bonds, only one hydrogen bond is shown here. Hydrogen bonds cause violations of van der Walls surfaces. The hydrogen-bonding distance from H to O is around 1.8 Å, which is less than the sum of the O and H van der Waals radii (rO=1.5 Å; rH=1.0 Å). Also notice that the hydrogen-bonding distance from O to O is around 2.8 Å, which is less than twice the van der Waals radius of oxygen (rO=1.5 Å). Figure 23 shows how hydrogen bonds link two water molecules. This figure illustrates the difference between a covalent bond, linking an oxygen atom to a hydrogen atom, and a hydrogen bond, also linking an oxygen to a hydrogen. A hydrogen bond is a non-covalent molecular interaction. Oxygen atoms are red and hydrogen atoms are white. The space filling representation on the right shows how hydrogen bonding causes violations of van der Waals surfaces. Oxygen is highly electronegative, and gains partial negative charge by withdrawing electron density from the two hydrogen atoms to which it is covalently bonded, leaving them with partial positive charges. Water is an excellent hydrogen bonding solvent. The coordinates of a water molecule linked by hydrogen bonds to two other water molecules are here [coordinates]. Figure 24 illustrates that a water molecule can donate two hydrogen bonds and accept two hydrogen bonds. The central water molecule here is donating two and accepting two hydrogen bonds. In bulk liquid water the total number of hydrogen bond donors equals the total number of hydrogen bond acceptors. All hydrogen bonding donors and acceptors are satisfied. Water is self-complementary. The coordinates of a very small ice cube are here [coordinates]. For additional information on water, see the section on water and the hydrophobic effect. H3. Molecular structure of water in the crystalline state. The oxygen of a water molecule has four filled valence orbitals (sp3 hybridized) that form a modestly distorted tetrahedron. Two of the electron pairs form covalent bonds with hydrogen atoms and two are non-bonding. The non-bonding lone pairs take more space than the bonding lone pairs, causing the distortion from a perfect tetrahedron. It is useful to imagine that a water molecule is a tetrahedron with negative charge on two apexes and positive charge on two apexes. Oxygen, which is highly electronegative, withdraws electron density from the hydrogen atoms to the extent that they are essentially bare protons on their exposed sides (distal to the oxygen). The charge distribution of a water molecule (partial negative charge on oxygen and partial positive charge on hydrogen) is shown below. Figure 25 illustrates the two lone electron pairs and the two bonding electron pairs of a water molecule. A four valence orbitals of a water molecule form a slightly distorted tetrahedron. The non-bonding electron pairs take up a little more space than the bonding electron pairs. Figure 26 shows the hydrogen-bonding interactions of one water molecule with four others in liquid or solid water. The donors and acceptors of a given water molecule are complementary to the collective donors and acceptors of surrounding water molecules. A water molecule can donate two hydrogen bonds and accept two hydrogen bonds. Water molecules in the crystalline state are not closely packed, resulting in tiny cavities of empty space within the crystal. The cavities are formed because the directionality of water-water interactions dominates water-water packing considerations. Small cavities in the solid lattice but not in the liquid are the reason that water increases in volume upon freezing (i.e., ice floats). There are many degrees of freedom in hydrogen bond donor/acceptor relationships that are interconverted by cooperative rotations. Water molecules readily rotate in ice. H4. Hydrogen bonding in ammonia versus in water. You can learn a lot about water (H2O) by thinking about ammonia (NH3). A comparison of ammonia to water shows the significance of the self-complementarity of water, where the geometries of HB donors and acceptors of any given water molecule complement those of surrounding water molecules An ammonia molecule is non-complementary, with three donor sites (N-H's) and one acceptor site. A isolated ammonia molecule, just like a water molecule, can form strong hydrogen bonds with either hydrogen bond donors or acceptors. Ammonia is more basic than water, and therefore ammonia is a better hydrogen bond acceptor than water. Figure 27 illustrates the hydrogen bonding as observed in crystalline ammonia. The hydrogen bonds are longer than those in ice and are non-linear. Although each ammonia molecule forms hydrogen bonds with six neighbors in the crystal, only two ammonia molecules are shown here. In the crystalline and liquid states, the lone pair of electrons on each nitrogen is shared by multiple hydrogen bond donors. The hydrogen bonds are bifurcated and trifucated, as described above (see figure 20). The hydrogen bonds in crystalline and liquid are are long, bent and weak. The boiling point of ammonia is −33 °C, much lower than that of water (100 °C), indicating that molecular interactions in NH3(liq) are significantly weaker than in H2O(liq). The coordinates of an ammonia molecule are here [coordinates]. H5. 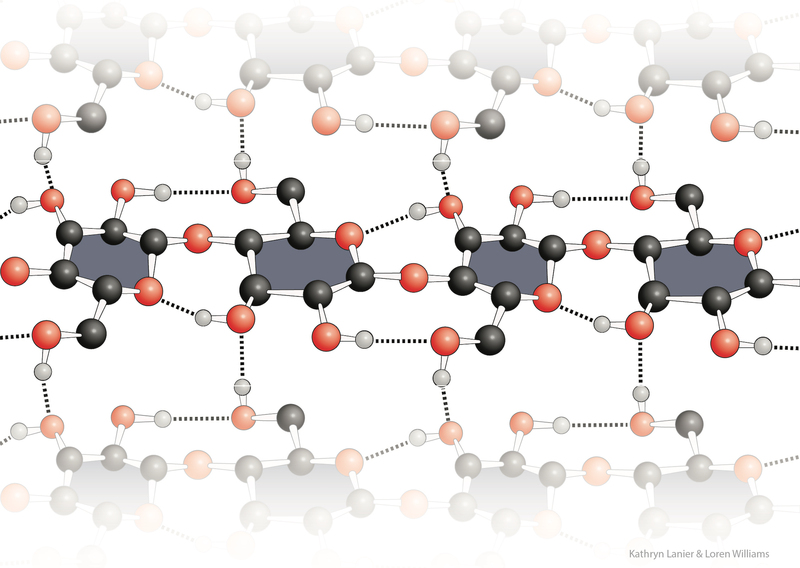 Molecular structure of water in the liquid state. In the liquid state, water is not as ordered as in the crystalline state. In the liquid state at O degrees C a time-averaged water molecule is involved in around 3.5 intermolecular hydrogen bonds. Some of them are three- and four-centered. Liquid water is more dense than solid water. Never-the-less, the macroscopic properties of liquid water are dominated by the directional and complementary cohesive interactions between water molecules. H6. Empirical description of the hydrophobic effect. The hydrophobic effect is the insolubility of oil and other non-polar substances in water. 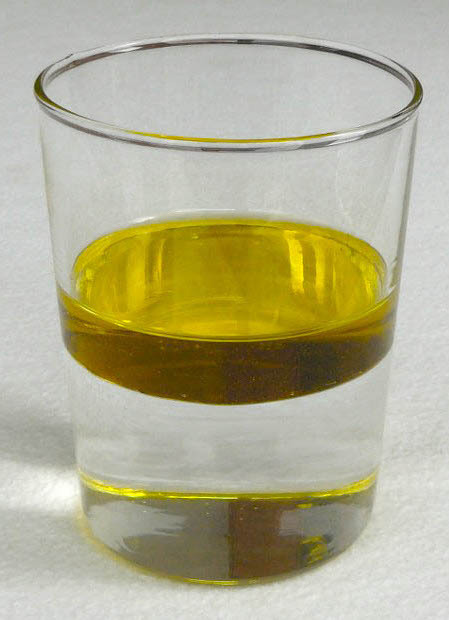 If you mix oil and water by vigorous shaking, you will observe spontaneous unmixing - meaning the entropy of mixing is negative. Spontaneous unmixing is strange and unusual. If you mix red marbles and blue marbles, or water and ethanol, or N2(g) and O2(g) you will not observe spontaneous unmixing - meaning mixing entropy is positive. Mixing is usually spontaneous because the number accessible states increases upon mixing. There are more ways things can be mixed than unmixed. The unmixing of non-polar substances and water is the hydrophobic effect in action. Hydrophobic substances are those that are soluble in non-polar solvents (such as CCl4 or cyclohexane or olive oil). The definition excludes substances like cellulose, which are insoluble because of strong intermolecular cohesion. Hydrocarbons (CH3CH2CH2 .... CH2CH3) are hydrophobic. The hydrophobic effect can be understood only after thinking carefully about water. Attractive forces between non-polar solutes emanate from the medium (water), not from direct interactions between the solute molecules. Hydrophobic substances are passive participants in the hydrophobic phenomenon. The molecular interactions of a hydrocarbon with water molecules in aqueous solution are equally as favorable as with neighboring hydrocarbon molecules in pure liquid hydrocarbon. We can understand the molecular and thermodynamic explanations for the hydrophobic effect in separate steps. H7. Molecular basis of the hydrophobic effect. The cohesive interactions between water molecules are not disrupted by disolved hydrocarbon (or other non-polar molecules). Interactions between water molecules in the interfacial region (in contact with hydrocarbon) are just as extensive and favorable (in terms of enthalpy) as interactions between water molecules in bulk water, surrounded by water only. There is no net change in extent of favorable molecular interactions when oil and water mix or unmix. The driver for unmixing is interfacial water molecules (directly adjacent a hydrocarbon molecule or plastic surface) that maintain water-water interactions at the cost of rotational and translational freedom. Interfacial water has low entropy and is therefore unfavorable. Water gains entropy and therefore stability by minimizing the amount of interfacial water. 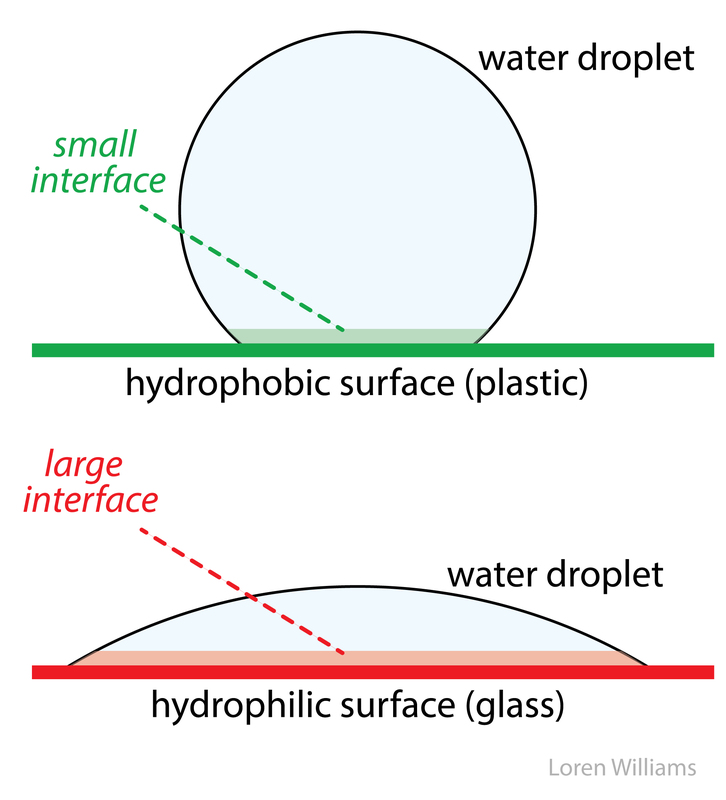 This is why water droplets deform on a hydrophobic surface - droplets adjust their shape to minimize contact with a hydrophobic surface. The term 'hydrophobic bond' is a misnomer and should be avoided, even though Walter Kauzmann, the discoverer of the hydrophobic effect, did often use that phrase. H8. Thermodynamic basis of the hydrophobic effect. The molecular descriptions of the hydrophobic effect above can be understood by the thermodynamic parameters enthalpy (ΔH, indicates changes in molecular interactions) and entropy (ΔS, indicates changes in available rotational, translational, vibrational states, etc). A hydrocarbon engages in favorable molecular interactions with water in aqueous solution. We know this because the transfer of a mole of hydrocarbon from pure hydrocarbon to dilute aqueous solution has an enthalpy of around zero. So why don't oil and water mix? It is the water. Water drives non-polar substances out of the aqueous phase. Figure 28 illustrates what happens when a hydrophobic substance (cyclohexane in this case) is converted from vapor to neat liquid to aqueous phase. In the first step, going from vapor phase to neat liquid, there is an increase in intramolecular interactions and a decrease in rotational and translational degrees of freedom. 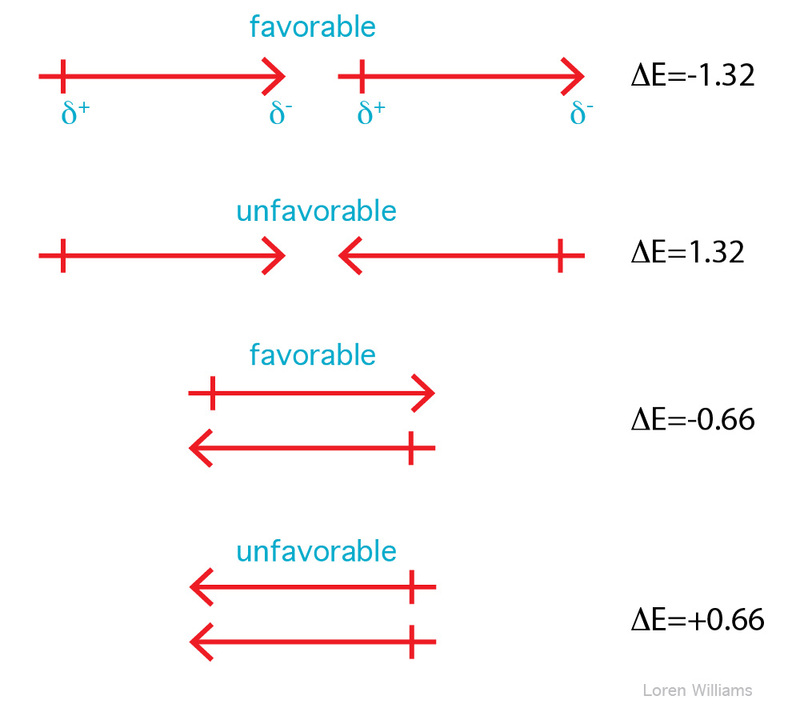 Therefore one expects, and sees, a favorable enthalpy contribution (negative ΔH) and an unfavorable entropy contribution (negative TΔS) for the condensation. In the second step, going from neat liquid to dilute aqueous solution, the change in stability contributed from intramolecular interactions is a wash, no gain or loss. The enthalpy of transfer is near zero. But water loses entropy. Water is more highly ordered in the vicinity of a cyclohexane molecule than in pure water. Therefore, for this step, ΔH is zero, TΔS is negative and ΔG is positive (ΔG=ΔH-TΔS). As illustrated below, in the aqueous phase a region of relatively low entropy (high order) water forms at the interface between the aqueous solvent and a hydrophobic solute. Figure 29 shows how aggregation of hydrocarbon molecules causes the release of interfacial water molecules. Therefore the system gains entropy (positive TΔS) upon hydrocarbon aggregation. Release of low entropy interfacial water molecules into the bulk solution drives hydrocarbon aggregation. The bottom panel illustrates that there is more interfacial water on the left hand side of the equation than on the right hand side. When hydrocarbon molecules aggregate in aqueous solution, the total volume of interfacial water decreases. Thus the driving force for aggregation of hydrophobic substances arises from an increase in entropy of the water. The driving force for aggregation does not arise from intrinsic attraction between hydrophobic solute molecules. If one considers the entropy of the hydrocarbon molecules alone, a dispersed solution has greater entropy, and is more stable, than an aggregated state. Similarly, a protein may appear to have greater entropy in a random coil than in a native state. Only when the entropy of the aqueous phase is factored into the equation can one understand the separation of water and oil into two phases, and the folding of a protein into a native state. For many purposes it is useful to approximate of DNA as a rod coated with anionic charge. In aqueous solution the negative rod is surrounded by counterions (cations such as Na+, K+ and Mg2+ and/or by polyamines). Counterion release explains much of the salt dependencies of DNA melting, DNA-protein interactions, RNA folding and DNA condensation. The high density of negative charge on the rod causes strong radial electric fields. The electric field is strong near the rod and weak far from the rod. These electric fields lead to steep radial gradients of the counterion concentration. The counterion concentration is high near the rod and low far from the rod. The "condensed" counterions are mobile, but are constrained to a small volume near to the DNA. Theoretical considerations show that the local concentration of a monovalent cation such as K+ near the surface of DNA is around 2 molar. The reasons are not obvious, but the concentration of K+ surrounding DNA is largely independent of the K+ concentration in bulk solution. The electrostatic environment surrounding DNA does not depend on the bulk concentration of counterions. This relationship explains why the stability of double stranded DNA increases (with higher Tm) as salt concentration (ionic strength) increases. Application of Le Chatelier's principle shows that addition of counterions pushes the equilibrium to the left, toward the duplex. Figure 30 (left) shows an axial view of DNA, represented as a anionic cyclinder. Cationic counterions (orange shading) surround the cyclinder. The concentration of cations decreases with distance from the surface of the cyclinder. The deeper orange shading indicates more concentrated cations. The panel on the right illustrates how both anionic counterions (blue) associated with a cationic protein, and cationic counterions (orange) associated with anionic DNA, are released to bulk solution when the protein binds to DNA. This release of counterions drives the association (by contributing +TΔS). High salt destabilizes DNA-protein complexes. Cation release explains this salt dependence. Application of Le Chatelier's principle shows that addition of counterions pushes the equilibrium to the left, toward toward dissociated DNA and dissociated protein. If the bulk salt concentration is low, there is a large entropic gain from counterion release, and the protein binds tightly to the DNA. If the bulk salt concentration is high, the entropic gain from counterion release is small, and the protein binds weakly. DNA condensation. Genomic DNAs are very long molecules. The 160,000 base pairs of T4 phage DNA extend to 54 microns. The 4.2 million base pairs of the E. coli chromosome extend to 1.4 millimeters. In biological systems, long DNA molecules must be compacted to fit into very small spaces inside a cell, nucleus or virus particle. The energetic barriers to tight packaging of DNA arise from decreased configurational entropy, bending the stiff double helix, and intermolecular (or inter-segment) electrostatic repulsion of the negatively charged DNA phosphate groups. Yet extended DNA chains condense spontaneously by collapse into very compact, very orderly particles. In the condensed state, DNA helixes are separated by one or two layers of water. Condensed DNA particles are commonly compact toroids. DNA condensation in aqueous solution requires highly charged cations such as spermine (+4) or spermidine (+3). Divalent cations will condense DNA in water-alcohol mixtures. The role of the cations is to decrease electrostatic repulsion of adjacent negatively charged DNA segments. The source of the attraction between nearby DNA segments is not so easy to understand. One possible source of attraction are fluctuations of ion atmospheres in analogy with fluctuating dipoles between molecules (London Forces). Polymers are large molecules formed by covalently linking many small monomers into long chains. Polyethylene, used to make plastic bottles and bags, is a synthetic polymer with molecular formula (-C2H4-)n. The number of linked monomers (n) is very large in polyethylene and the molecular weight is around 5 million Daltons. Living systems have many kinds of specialized polymers but universally express and utilize three types; polynucleotide (DNA and RNA), polypeptide (protein) and polysaccharide (cellulose, glycogen, etc.). The "Central Dogma of Molecular Biology" describes how information flows between biopolymers. Biological information is defined by sequences of linked monomer units. Information flow is constrained to well-defined pathways among a small number of biopolymer types, which are universal to all living systems. Here we have extended the Central Dogma to include non-ribosomal peptides and carbohydrates. Monosaccharides, like nucleotides and amino acids, can be linked to encode information. Monosaccharides are the letters of the third alphabet of life (after the nucleotide alphabet and the amino acid alphabet). Oligomers of various sugars store and transmit information. For example carbohydrates provide cell-cell communication through cell surface interactions. Nonribosomal peptides (NR peptides) are produced in bacteria and fungi and encode information in specific sequences. NR peptides are composed of a diverse alphabet of monomers. This alphabet is far larger than the 20 amino acid alphabet used by the translational system. NR peptides are synthesized by large multiprotein assemblies, are shorter than translated proteins, but are informationally dense. Figure 31. The Central Dogma of Molecular Biology describes the flow of information in biological systems. The arrows indicate allowed pathways of information flow. Non-ribosomal peptides and carbohydrates are included here in an extended version of the Central Dogma. The molecular interactions within and between biopolymers are astonishing compared to those of monomers. We say it like this: extraordinary molecular interactions observed in biological systems are emergent upon polymerization. Emergent properties are those of a sum (the polymer) that the parts (the monomers) do not have. It is not possible to predict the properties of biopolymers from the properties of their monomers. In the sections below we will explain and illustrate the emergent properties of biopolymers. An aside; Why this section? Biochemistry textbooks can provide a lot of important detail about various types of polymers. However, DNA, RNA, polypeptide, and polysaccharide are described in isolation of each other, in separate chapters. This author (who has taught biochemistry for a long time) believes that biopolymers have important shared attributes (e.g., all universal biopolymers are self-complementary) and understanding the universal features of biopolymers should precede getting into the weeds of each type of biopolymer. Figure 32. Spectacular fibers of protein or carbohydrate. Spider web is made from protein. Tree branches, such as those supporting this spider web, are made mostly from carbohydrate (cellulose is polymerized glucose). 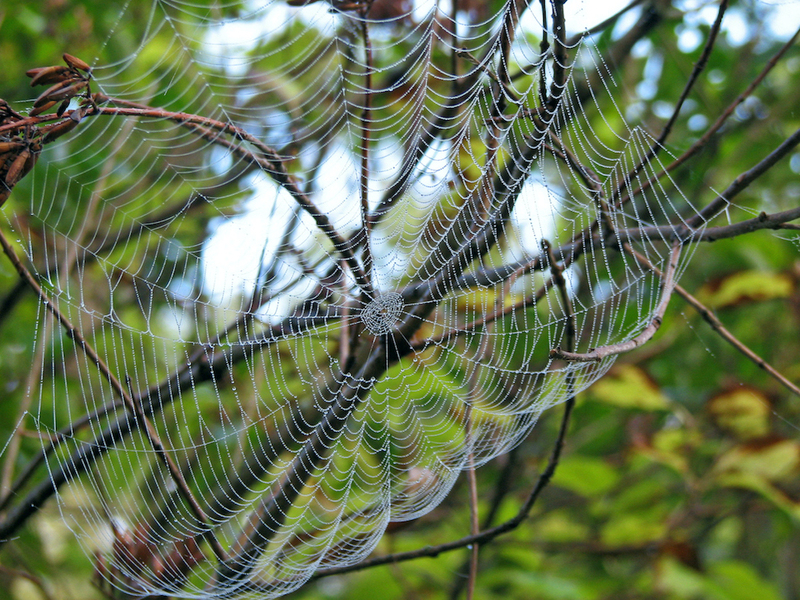 The spider web ratio of strength to density can exceel that of steel. Wood, which contains polycellulose and other fibers, is strong, lightweight and flexible. Photo courtesy of Mary Ellen St. John, Newark, Ohio. L. Making and breaking biopolymers. How are universal biopolymers made? Each biopolymer is built by covalently linking members of well-defined and modestly-sized sets of monomers. Proteins are formed by condensation of twenty types of amino acids. Polynucleotides are formed by condensation of four types of nucleotides. Cellulose, the most abundant polymer in the biosphere, is formed by condensation of one type of monomer – glucose. For all biopolymer types the net reaction for synthesis is dehydration/condensation. Monomers are covalently linked together by removal of water. Since they are made by removal of water, all biopolymers are broken down by hydrolysis, which is the addition of water. All biopolymers spontaneously hydrolyze in the aqueous media of a cell. Fortunately, rates of hydrolysis are slow. Figure 33. Net reactions for biopolymer formation by condensation dehydration and biopolymer degradation by hydrolysis. a) Protein. b) RNA. c) Polysaccharide. All biopolymers are chiral and directional with distinctive ends. Chiral centers (stars, shown in polymers only) and strand directionalities (arrows) are indicated. Blue boxes indicate (in toto) the atoms involved in the synthesis/degradation reactions. Biopolymers are ephemeral. In aqueous soluion, degradation of biopolymers to monomers is always favored in the thermodynamic sense. Any protein, DNA, RNA or carbohydrate, left in the ocean (for example) for sufficient time, will inexorably hydrolyze to monomers. Hydrolysis is partly why dinosaur fossils do not contain DNA. After 60 million years, all dinosaur DNA is completely hydrolyzed. Protein hydrolyzes more slowly than DNA, and small fragments of dinosaur proteins have been recovered. Why does biology require polymers? Won't monomers (i.e., small molecules) do? No. Biopolymers have unique properties because of their unique molecular interactions. They spontaneously fold and assemble into precise and highly elaborate structures to form enzymes, fibers, containers, motors, pores, pumps, and gated channels, and ribbons of information. Emergence. The elaborate structures that build biology are emergent upon polymerization. Monomers cannot assemble into the elaborate structures that come easily to polymers. Monomeric guanosine and cytosine do not form base pairs in water. 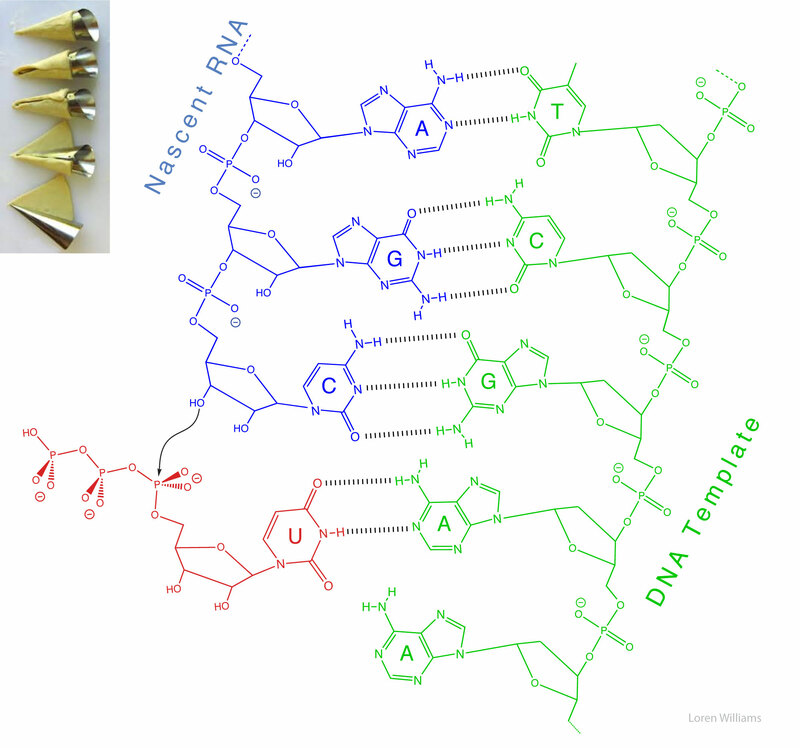 Monomeric nucleosides cannot form informational molecules (like DNA or RNA). Monomeric amino acids do not assemble into hydrophobic cores with hydrophilic surfaces and sophisticated catalytic sites (like proteins). Monomeric glucose does not form robust fibers (like cellulose). Why? What is so special about biopolymers? For small molecules (monomers), elaborate assembly is always opposed by a large unfavorable entropy (and therefore unfavorable free energy). The entropy of assembly of a complex mixture into a specific assembly is always large and positive (i.e., unfavorable, making the free energy of assembly large and positive). The more complex the mixture, the greater the entropic penalty of assembly. There are many more accessible states of disassembly or incorrect assembly than of correct assembly. The greater the number of accessible states, the greater the entropy. With a severe entropic penalty for assembly, small molecules simply cannot achieve the elaborate arrangements of functional groups that come naturally to biopolymers. Figure 34 illustrates the large entropy loss (and unfavorable free energy) for specific assembly of a complex mixture of monomer types. The number of states of disassembly and incorrect assembly is very large compared to the number of states of correct assembly. Imagine all the different ways those monomers on the left side can be arranged in solution. The entropic penalty for folding of a biopolymer is much less than the entropic penalty of assembly of the corresponding unlinked monomers. Most states of disassembly or incorrect assembly become inaccessible upon polymerization. Therfore, biology's elaborate structures with precisely positioned functional groups are emergent upon polymerization. Figure 35 illustrates a more modest entropy loss (and more favorable free energy) for folding of polymer compared to assembly of monomers. The monomers lose many accessible states of disassembly during polymerization (paid for by ATP hydrolysis and billions of years of evolution). Therefore the loss of entropy during folding of the biopolymer is small. Investments of free energy are decoupled in time and space from processes of folding. The free energy of synthesis and polymerization, primarily in the form of ATP and GTP hydrolysis and long term evolution, is invested separately, prior to folding. Proteins can spontaneously fold (i.e., the free energy of folding is negative) only because energy was invested in selecting appropriate sequences and in polymerizing monomers of those sequences. It is easy to assemble a jig saw puzzle if the pieces are correctly linked by the right short springs. Figure 36 illustrates how folded polymers, with pre-organized functional groups can form complex assembles. When Arthur C. Clark wrote, "Any sufficiently advanced technology is indistinguishable from magic. ", he could (should) have been writing about assemblies in biochemical systems. Biological assemblies are indistinguishable from magic. They are not magic, but we have very little understanding of their ultimate evolutionary origins, and so they appear to be magic. Self-complementarity is a universal property of biopolymers. Self-complementarity is proficiency for preferential self-binding, which is the ability to attract and associate with self to the exclusion of non-self. Self-complementarity is important in protein folding, RNA folding, DNA annealing, and assembly of cellulose fibers. Figure 37 shows that the self-complementarityy of biopolymers is driven primarily by hydrogen-bonding interactions. 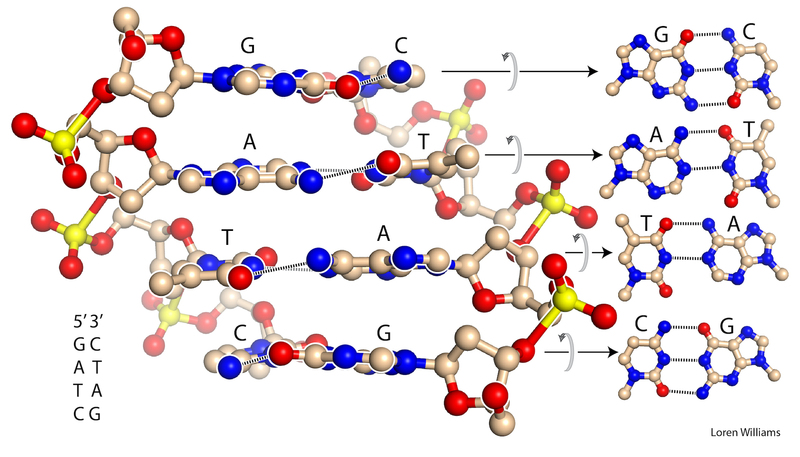 (Left) Base pairing between complementary hydrogen bond donors and acceptors on the sidechains of nucleic acids. (Center) Backbone assembly between self-complementary hydrogen bond donors and acceptors of the protein backbone to form anti-parallel β-strands in a β-sheet, and (Right) Self-complementary hydrogen bond donors and acceptors in carbohydrate, between glucose moieties within cellulose. Three-dimensional structures of folded/assembled DNA, RNA, protein, and polysaccharide reveal extensive networks of highly specific molecular interactions in which biopolymers complement themselves. Hydrogen bonding donors complement acceptors in 2D and 3D arrays, sometimes over vast surfaces. The locations and directions of the donors and the acceptors are matched. Figure 38 The self-complementarity of peptide linkages is the dominant molecular interaction in protein secondary structures and in folded protein. a) Antiparallel β-sheet. b) Parallel β-sheet, c) α-helix. d) A globular protein showing α-helices (violet) and β-sheets (green). e) An amyloid fibril showing dominance of β-sheets for any essentially amino acid sequence. Hydrogen bonding polarities are indicated by arrows. Each peptide linkage donates one hydrogen bond and accepts one hydrogen bond. The term “self-complementary” has traditionally referred only to the interactions between nucleic acid bases, such as those in the DNA duplexes. Figure 39 The self-complementarity of polyglucose leads to cellulose fibrils. Hydrogen bonding is indicated by dashed lines. Each glucose forms many hydrogen bonds with its neighbors. “Self-complementary” is not commonly used to describe the polypeptide backbone or cellulose, because the nomenclature for molecular interactions of nucleic acids is historically distinct and separate from that describing interactions of proteins. However, “self-complementary” is an exact and accurate description of the polypeptide and polysacharide backbones. Both of these biopolymers selectively adhere to themsleves via extended arrays of hydrogen bond donors and acceptors that are geometrically matched in three-dimensional space. For protein, this donor/acceptor matching is realized by local interactions within α-helices, or by non-local interactions within β-sheets. Figure 40 shows that the sequence GATC is self-complementary, containing geometrically matched arrays of hydrogen bond donors and acceptors that link two strands in a duplex. On the left, the normals of the base pairs are within the plane of the page. On the right the normals of the base pairs come straight out of the page. Hydrogen bonds are indicated by dashed lines. Preorganization makes import contributions to self-complementarity. Biopolymers are massively preorganized, meaning the actual entropic cost of folding and assembly has been paid during biopolymer synthesis, and during billions of years of evolution, and does not have to be accounted for during folding or assembly. At high temperature or in chemical denaturants biopolymers retain a kinetic propensity to fold. Folding is fast and spontaneous when the temperature is lowered or the denaturant is removed. Backbone chemical structure is preorganized - biopolymer backbones are intrisically self-complementary. Polyglucose in the β-anomer contains arrays of hydrogen donors and acceptors that can form complementary arrays. Backbone conformation is preorganized - random coil is not fully random, even in denatured states backbone are restrained to native-like conformers. 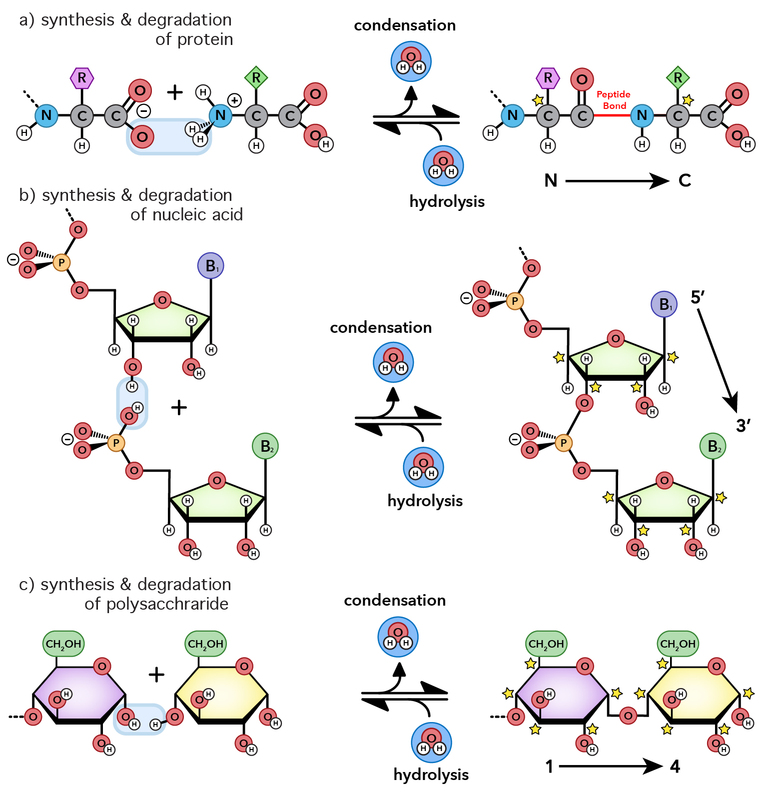 Sequence is preoganized - the sequence of sidechains of polypeptide and polynucleotide induce correct locations and orientations of functional groups. Cellulose (polyglucose) does not contain sidechains. Because of their directionality, tunability, and ubiquity in simple organic molecules and biological polymers, hydrogen bonding interactions are one of nature's most powerful devices of self-complementarity. However, not all self-complementary surfaces in biology involve hydrogen bonds. Leucine zippers, between α-helices, are examples of self-complementary interactions that involve molecular interactions other than hydrogen bonds. Mutualisms are everywhere in the biosphere and are fundamentally important in evolution, ecology and economy. A mutualism is a persistent and intimate interaction that benefits multiple interactors. Mutualisms involve proficiency exchange, interdependence, and co-evolution. Mutualisms traditionally have been described at levels of cells, organisms, ecosystems, and even in societies and economies. Eukaryotic cells, with mitochondria and nuclei, are a culmination mutualism between simpler prokaryotic cells. Essentially every species on Earth is involved in mutualisms. Figure 41. 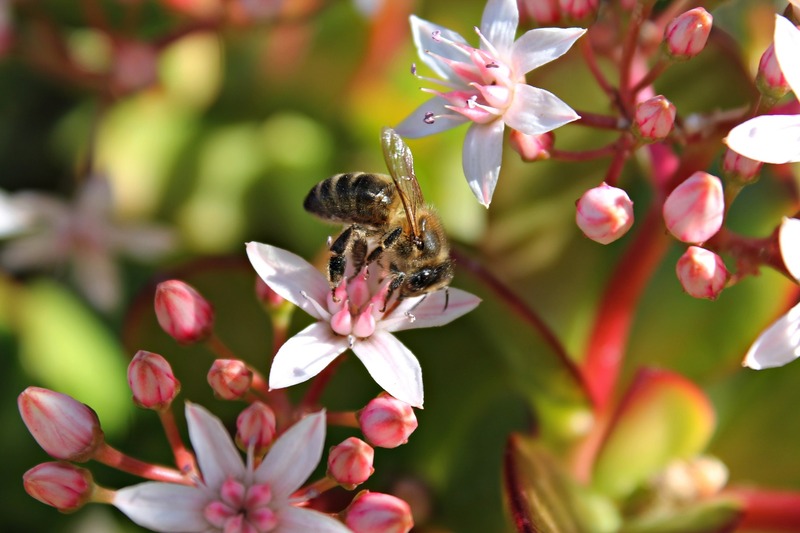 Bees and plants form intense mutualism relationships. The plant nourishes the bee and the bee pollenates the plant. Molecules. Molecules can form mutualism relationships. Biopolymers satisfy all of the formalisms of mutualism, and it is useful to apply those formalisms to understand them. Biopolymers synthesize each other and protect each other from chemical degradation. Protein synthesizes RNA (polymerases) and RNA synthesizes protein (ribosome). During the essential steps of translatioin process, coding is performed by proteins (aaRS enzymes that charge tRNAs), while decoding is carried out by RNA (mRNA and rRNA) in the ribosome. Figure 42. A) Molecules in mutualism. A) RNA makes protein. Protein makes RNA. The RNA and protein are interdependent. B) Species in mutualism. 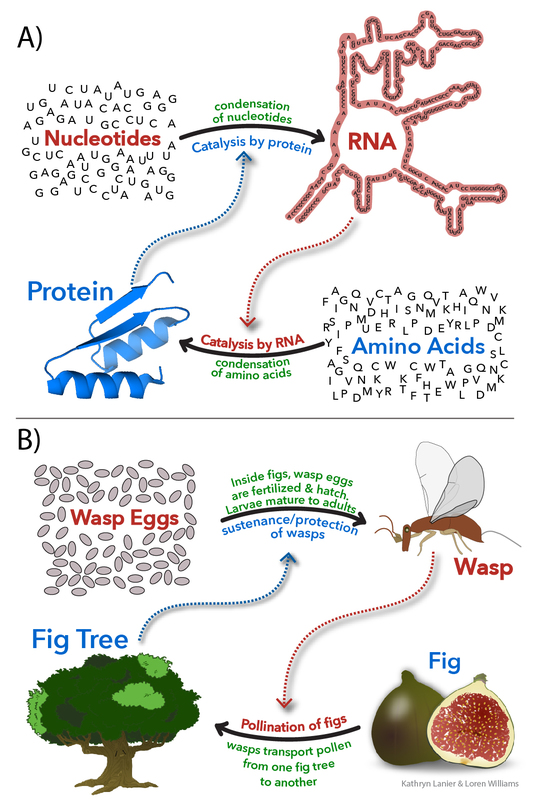 The fig-wasp mutualism. The fig depends on wasps to pollinate fig flowers and initiate seed production. The wasp depends on the fig for nourishment and production of offspring. Each wasp larvae consumes one would-be seed and develops within a fig fruit. Molecules in Mutualism describes and explains: (i) survival – extant biopolymers are more persistent than competing polymer types, which are now extinct; (ii) fitness – biopolymers are more ‘fit’ in combination than in isolation; (iii) distance – each biopolymer type has distinct proficiencies and chemical characteristics; (vi) innovation – proficiencies of one type of biopolymer release constraints on partner biopolymer types; (v) robustness – biopolymer types have been fixed for billions of years, meaning biopolymers compose the seminal and most ancient mutualism in the biological world; (vi) co-evolution – biopolymers co-evolved and created each other in an emergent environment; and (vii) parasitism – amyloids and phase separated RNA gels appear to be examples of direct self-interest and escape from mutualism. It is useful to think of a cell is a consortium of molecules in which nucleic acids, proteins, polysaccharides, phospholipids, and other molecules form a broad mutualism that drives metabolism and replication. Analogies are found in systems such as stromatolites, which are large consortia of symbiotic organisms. O. Base stacking and base pairing. Base-base stacking is the dominant stablizing interaction in double-stranded DNA and RNA and in complex RNAs like tRNA or rRNA. Please do not attribute stability of DNA to base-base hydrogen bonding. When base-base hydrogen bonds are disrupted, they are replaced by base-water hydrogen bonds. It's a wash. 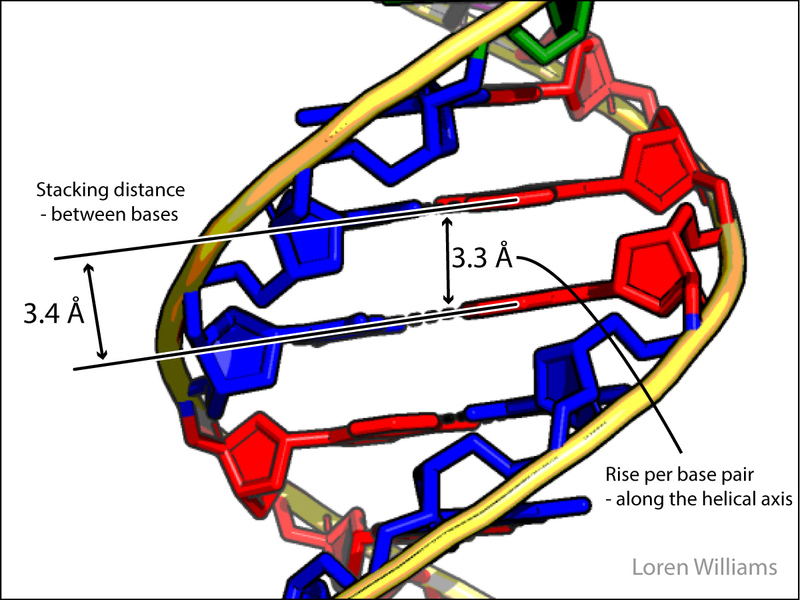 In both DNA and RNA duplexes, the distance between stacked base pairs is 3.4 Å, the minimum allowed by short range repulsion. In a B-form helix (DNA), base pairs are slightly inclined; Base pair normals are not exactly parallel to the helical axis. Therefore, the rise per base pair along the helical axis is slightly less than the stacking distance of 3.4 Å. In an A-form helix (RNA), the inclination is greater and therefore the rise per base pair is less (2.3 Å). Figure 43 shows base stacking in B-DNA. Short range repulsion sets a distance of 3.4 Å between base pairs. The helical rise is 3.3 Å/base pair. What is base-stacking? Base stacking is complicated and involves many types of molecular interactions. London dispersion is a primary stabilizing force in base stacking. Dipole-dipole, dipole-induced dipole, and dipole-quadruple interactions are also important. An additonal type of interaction, called Charge Penetration, makes important contributions to base stacking. Charge Penetration arises at short range, when the Π-cloud of one base interacts favorably with the nuclear charges of an adjacent base. The hydrophobic effect contributes to base stacking. Mono-nucleosides spontaneously stack in water. However, they do not form base pairs because water-base hydrogen bonds complete effectively with base-base hydrogen bonds. Mono-nucleosides spontaneously pair in non-aqueous solvents such as CH2Cl2. Non-aqueous solvents do not compete for hydrogen bonding with the bases. There is no hydrophobic effect to drive stacking and the bases of mono-nucleosides do not stack in non-aqueous solvents. Figure 44 shows how the bases of mono-nucleosides stack in water and do not pair. Bases of mono-nucleosides pair in non-aqueous media and do not stack. In fact, AT base pairs are less stable than GC base pairs because AT base pairs, in the minor groove, cause ordering of water molecules, which is destabilizing. Low entropy water molecules are released when AT base pairs are melted. The greater stability of GC-rich DNA compared to AT-rich DNA is caused by differences in hydration, not by differences in base-base hydrogen bonds. You can read more about this in Privalov, NAR, 2015, 43, 8577 and can access a pymol script showing water molecules in an A-tract minor groove here. Figure 45 shows how AT-base pairs can cause water molecules to lose entropy. Hydrogen bonding interactions localize a water molecule (cyan) in the minor groove of an ApT step. Two keto oxygens (O2) and two O4' oxygens accept hydrogens from the water molecule, which accepts hydrogen bonds from two additional water molecules. Hydrogen atoms are not shown. GC base pairs have a wider minor groove and more polymorphic hydrogen bonding. A source of confusion. Electrostatic forces are between formally charged species and are unimportant in base stacking; bases are neutral. Confusion arises because high level theory papers use a different parsing scheme for molecular interactions, and allocate some interactions between neutral species into the electrostatic category. Unless you do quantum mechanics for a living and don't care if others can understand you, it is best to refrain from using the term 'electrostatics' to describe interactions between net neutral species. Biological systems have unique abilities to link complex molecular interactions to catalytic functions. Sophisticated non-covalent interactions control formation of covalent bonds. Some of the most advanced forms of these phenomena are observed in DNA and RNA polymerases, and in the ribosome. In these systems hydrogen bonding and other molecular interactions direct catalytic function. In an RNA polymerase, if 'correct' hydrogen bonding (i.e., C-G or A-U/T Watson-Crick hydrogen bonding) occurs between the template strand and the incoming nucleotide, then the enzyme catalyzes formation of a covalent bond. When 'wrong' interactions (e.g., a G-U pair) are detected, the enzyme kicks out the incoming nucleotide without forming the covalent bond. Therefore one molecule acts as a template that directs synthesis of another molecule, in close analogy with the way that a pastry template directs the shape of the pastry. Figure 47 shows a pastry template (top left) that directs and controls the shape of a pastry. This figure also shows a molecular template (a DNA molecule), that directs synthesis of a molecule of RNA. The DNA template strand is green, the nascent (growing) RNA strand is blue and the incoming nucleotide is red. (i) Biology is molecules in mutualism. RNA makes protein. Protein makes RNA. A cell is a consortium of molecules in mutualism relationships. (ii) Biology is layered emergence. The properties of water are emergent on condensation. Properties of amino acids, nucleotides or sugars are emergent on polymerization. (iii) Biological assemblies are indistinguishable from magic. The evolutionary processes that produced the backbones of biological polymers appear lost in time. This document is dedicated to the memory of the late Professor Charles Lochmuller (right) of Duke University. 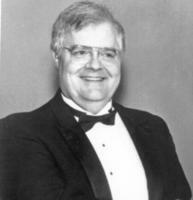 Dr. Lochmuller was a good guy, a natural comic, and an eminent scientist. Here I approach biochemistry in a new (I believe) way. It is tradition, starting with Lehninger's first Biochemistry textbook and continuing in essentially all subsequent biochemistry textbooks, to teach about each type of biopolymer in isolation of the others other. Protein DNA, RNA and carbohydrate are described in distinct, well-separated chapters as unrelated chemical phenomena. In Part 2 of this document I present DNA, RNA, polypeptide, and polysaccharide in the context of their common attributes. Rather than focusing exclusively on the differences (amino acid side chains, nucleic acid bases, etc), I focus on the profound universal properties (self-complementarity, emergence, etc) that unite biopolymers. In my view only by learning about biopolymers in context of each other can one hope to achieve a reasonable understanding of them. students around the world from a variety of disciplines are seeking information on molecular interactions, sometimes to answer a specific question (what is London Dispersion?) and sometimes seeking more global and systematic information. The development of this document has been supported by the NASA Astrobiology Institute, the National Science Foundation and the School of Chemistry and Biochemistry at Georgia Tech, all of whom have supported my research laboratory and my public outreach efforts. 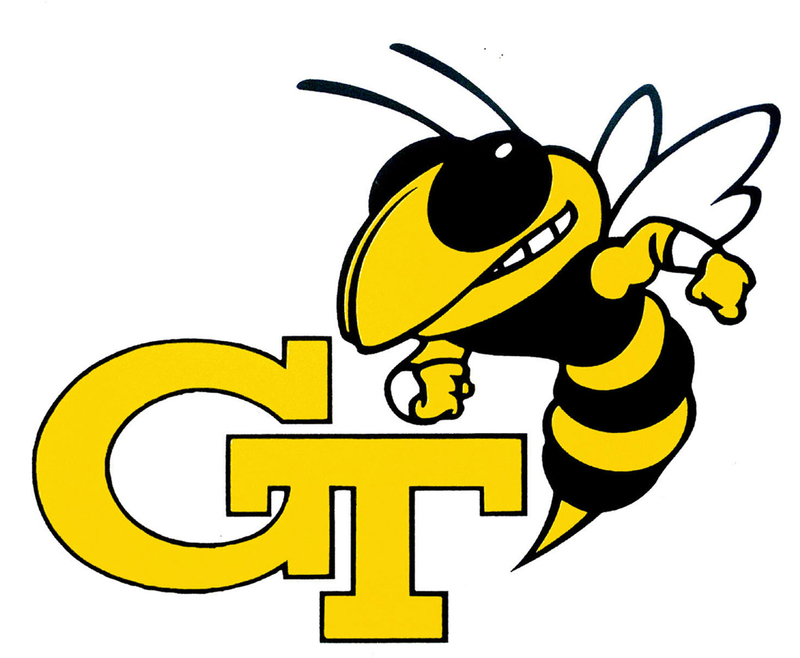 Comments and suggestions for improvements are welcome and should be addressed to ldw@gatech.edu. I am hopeful that students, especially those who lack resources for textbooks, find this site to be useful. Reuse. The images and text here can be reused with attribution for noncommercial purposes.